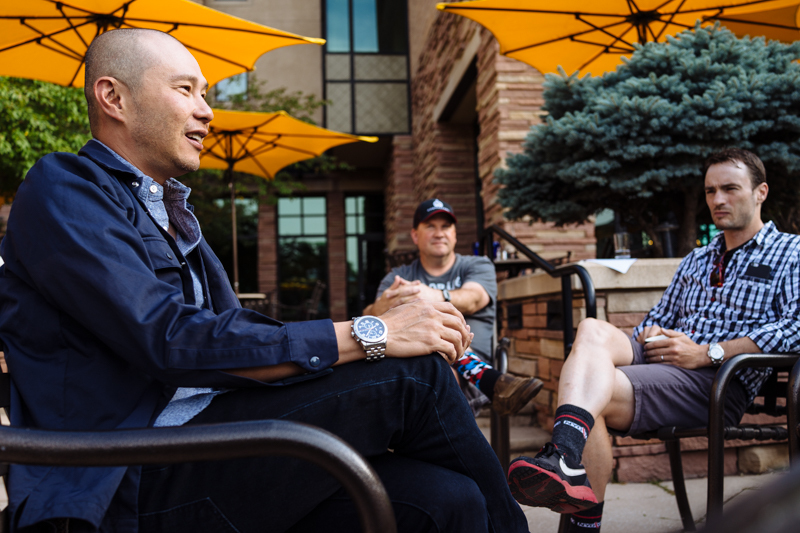 I had one more night in Boulder before my mid day Thursday flight from Denver to Tokyo. Scott and Steve were also staying an extra night. Both had Thursday morning bike fits with the renowned Dr. Andy Pruitt at the Colorado University Sports Medicine and Performance Center. The brothers had a relative in Estes Park whom they visited many years ago. 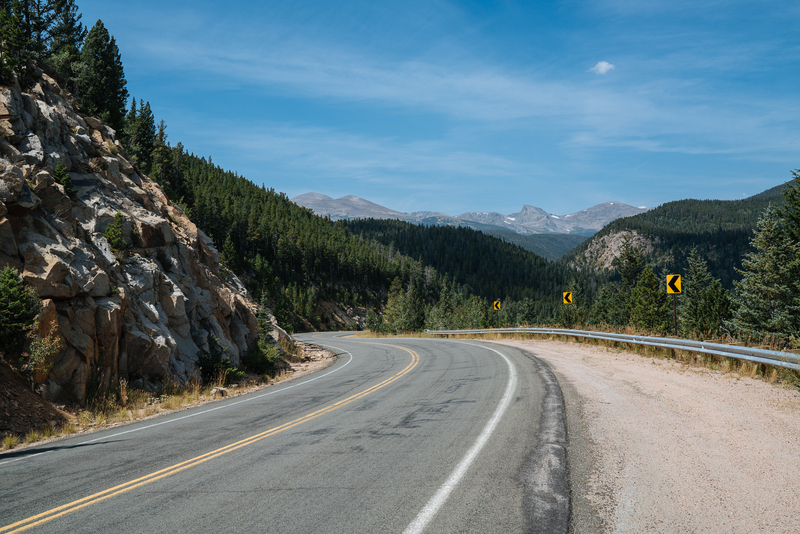 They kindly invited me to go with them on a drive to Estes Park on Wednesday afternoon. Estes Park sits on Lake Estes, and is a gateway to Rocky Mountain National Park. As you drive into Estes Park, you can’t help but notice the Stanley Hotel, sitting as it does above Lake Estes. Stephen King was a guest in Room 217 when he conceived the idea for “The Shining,” and he used the Stanley as his inspiration for the Overlook Hotel in his horror novel. The 1997 TV miniseries of the same name was filmed at the Stanley. Fans of the film version of “The Shining” may already know that Oregon’s Timberline Lodge, not the Stanley, was used for the movie’s exterior shots. We wandered along the Riverwalk for a while. It had been a while since those breakfast burritos. We needed nibbles. So we sat on the waterside back patio of Ed’s Cantina & Grill, eating chips and salsa, and nachos. And chatting about the previous six days. On the way out of Ed’s I spotted this t-shirt. We rode hard at times during our time in Boulder, but with all the wonderful food we had, we were never at risk of being reduced to this. The visit to Estes Park with Scott and Steve was a very pleasant way to end Day 6. 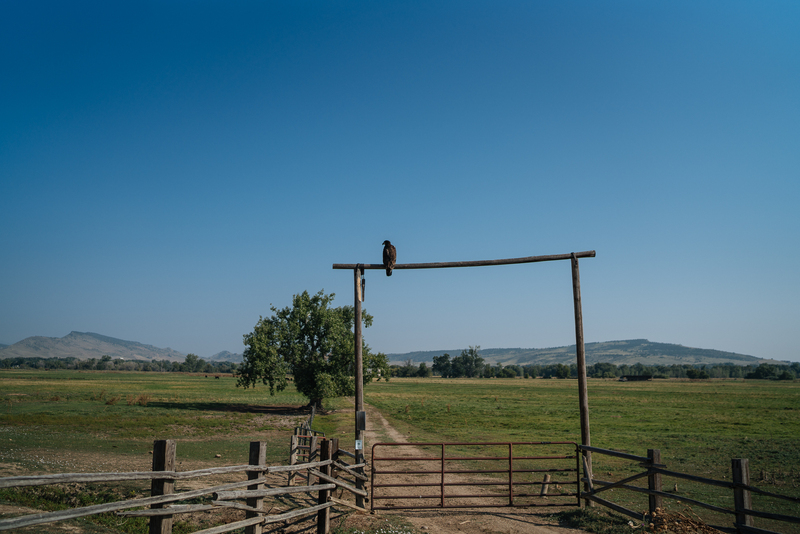 We drove back through some of the spectacular countryside that attracts so many to Boulder. On Thursday morning Patrick delivered my bike to the hotel. Boxed up and ready for the flights with me to Kuala Lumpur. I was leaving Boulder with more stuff than I had arrived with. Two of these bottles for a start. The Cognoscenti, Alchemy and Rol bottles I was given, and the Camelbak Podium Ice bottles I brought with me, went into the box with my bike. All stuffed with socks, base layers, arm sleeves, bandanas etc. My cycling shoes went in the bike box too. 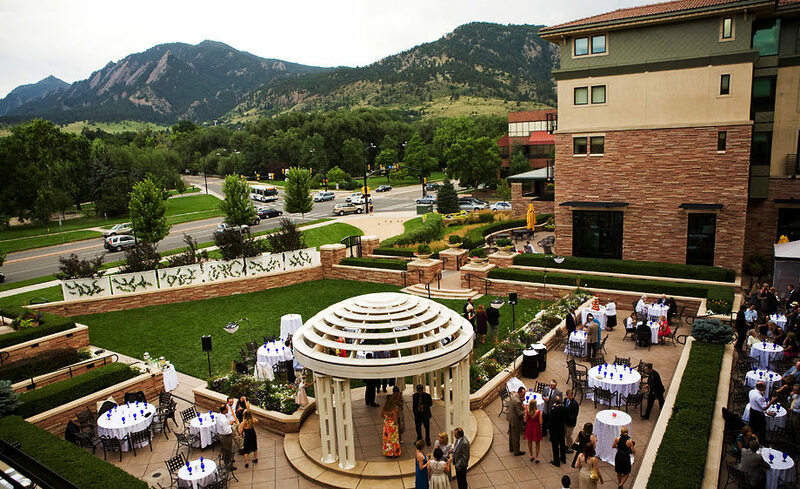 There was time for a coffee with Patrick and Karl in Jill’s Restaurant, and one last look at the Flatirons from the back patio of the hotel. 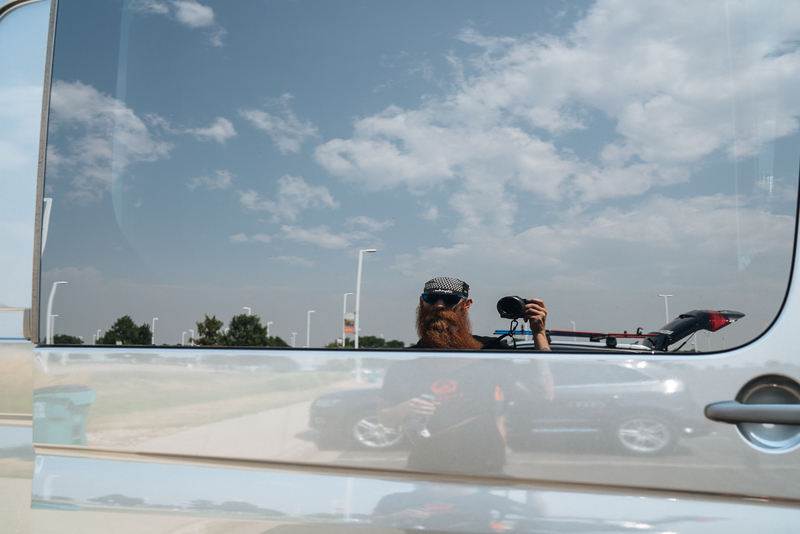 Karl drove me to Denver airport, and my Cognoscenti adventure was over, bar the many wonderful memories. 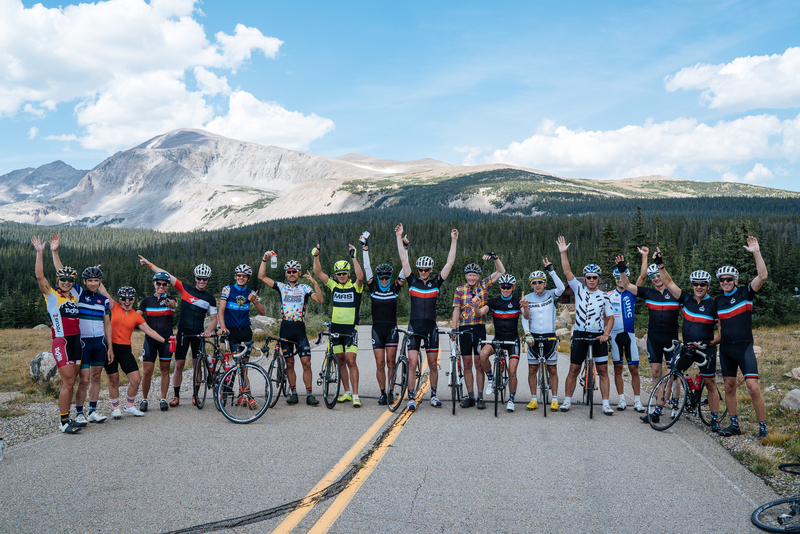 Posted in Cycling in Colorado and tagged Cognoscenti, Estes Park, St. Julien Hotel, Stanley Hotel. Bookmark the permalink. Day 6. Breakfast on the back patio of the St. Julien Hotel. A second mug of coffee with extra cream. Freshly laundered kit waiting to be collected. A twinge of sadness as the “last day is here” realisation sank in. Enough of that. There would be plenty of time for reflection. There was a ride to be done. This time to Jamestown and back. 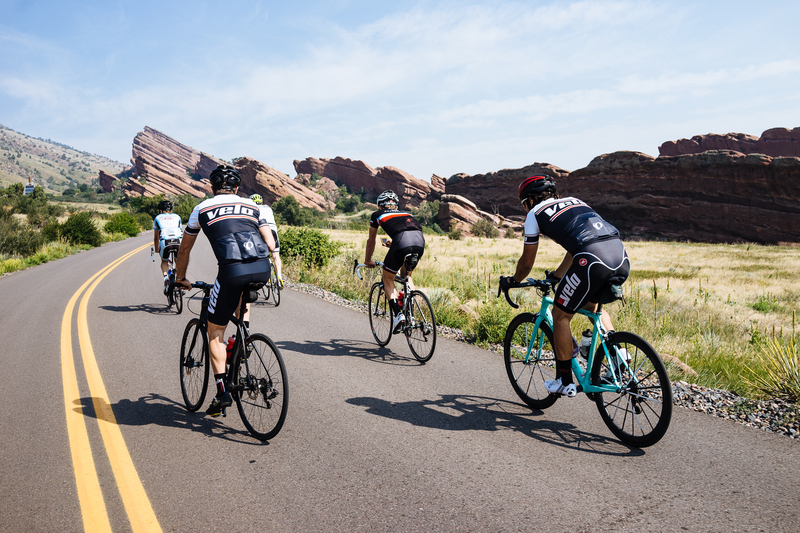 The Cognoscenti guys weren’t going to let us off too lightly on our final ride of our Boulder experience. 6.5km / 4mi out we hit Lee Hill Drive. We had raced down this road at the end of our Day 5 ride. Now it was payback time. I think I paid the most. I had to stop twice to catch my breath as the gradient rose to 10% and my lungs gave out. The rest of the group kindly waited at the top of the climb while I ground up the hill at 12kph / 7.5mph. I had some time to recover while going down the other side before the long drag of the day, up Lefthand Canyon Drive to Jamestown. I think I had Andrew and Tristan for company on that climb. Richard and the rest had of course arrived well before I did. As did Dan Cavallari, one of our guests from VeloNews. Everyone was itching to go downhill. 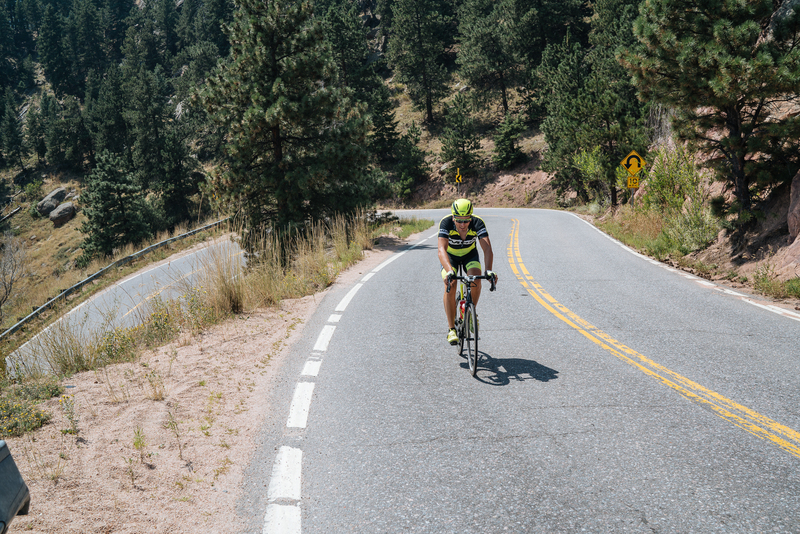 Less than 10 minutes after rolling into Jamestown I was putting my weight to good use on the descent. All good things must come to an end. after 9km / 5.6mi of zippiness I had a hill to climb. We had blasted down Olde Stage Road less than an hour earlier. At an average of 50kph / 31mph. My average back up Olde Stage Road was somewhat slower! 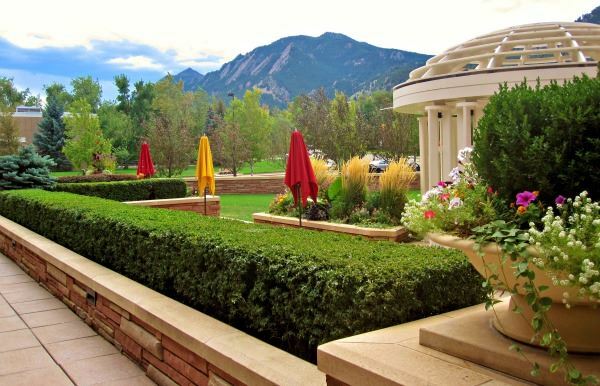 The last 10km / 6mi for the week was downhill into Boulder at the back patio of the St. Julien Hotel. 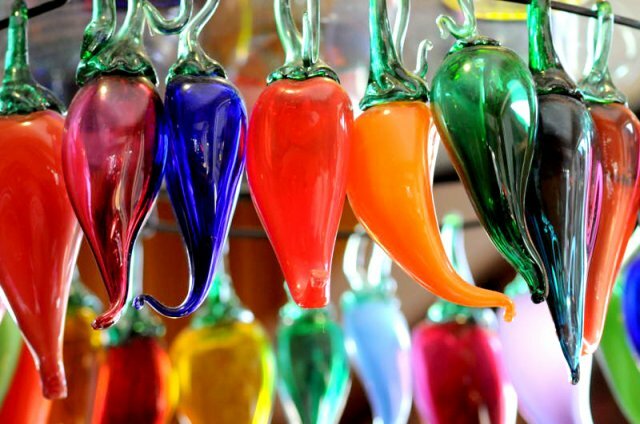 We sat under the Cognoscenti tent at the Southgate, tearing into breakfast burritos. 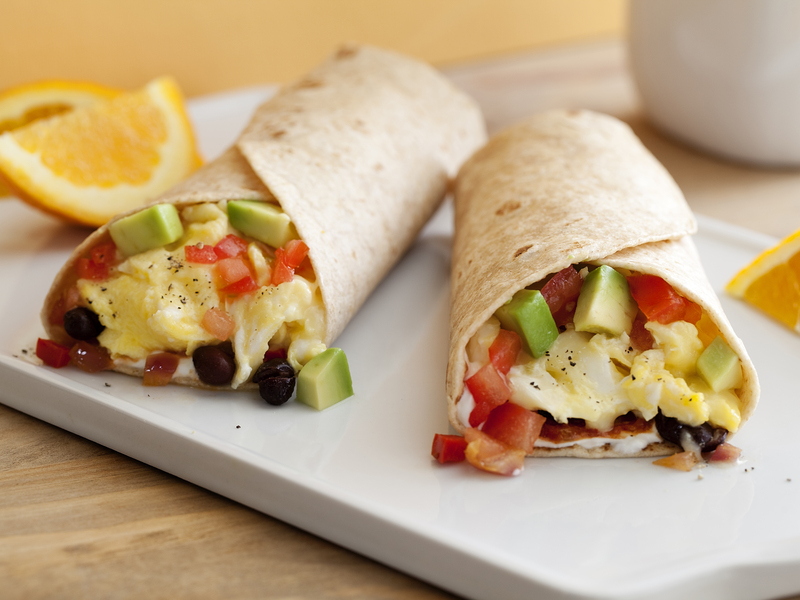 I was introduced to breakfast burritos when I lived in Houston. Really delicious either during or after a ride. Once the burritos were polished off, it was time for goodbyes. Matt, Mindy, Pam, Richard, Scott and Steve were very nice and very friendly. I had a great time with with them over the six days. I didn’t feel it so much at the time, but I do feel sad now at the thought of perhaps not ever seeing them again. I came into my Cognoscenti adventure not knowing what to expect. Well, if I had arrived with expectations, they would have been wildly exceeded. I had a brilliant time. 415km / 258 mi covered. 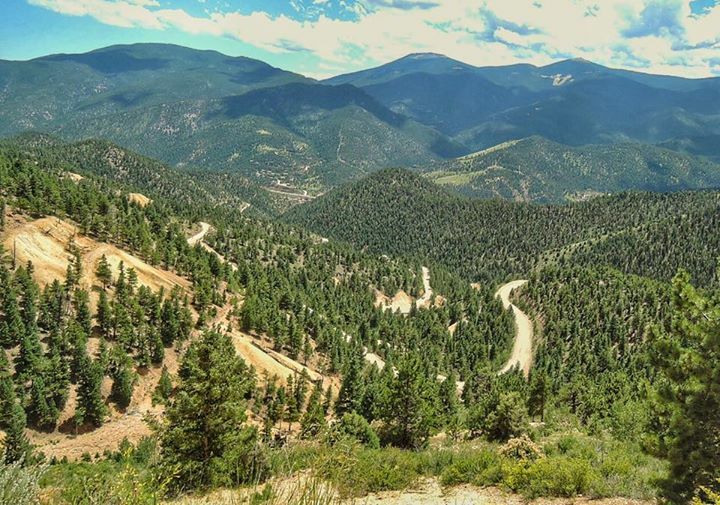 7,000m / 23,000ft of climbing. All in beautiful natural surroundings. For what it is worth – 17,200 calories burnt. I am sure at least double that number was consumed during the mid-ride lunches and in the fabulous dinner restaurants that Cognoscenti took us to. As promised, the level of service and support was incredibly high. Well-deserved kudos go to Andrew and Karl, the co-founders for bringing their “Ride First Class” vision to life. Well-earned thanks also go to the Cognoscenti guides who made real the “Ride First Class” vision. Jon, Russ, Tristan and Patrick. 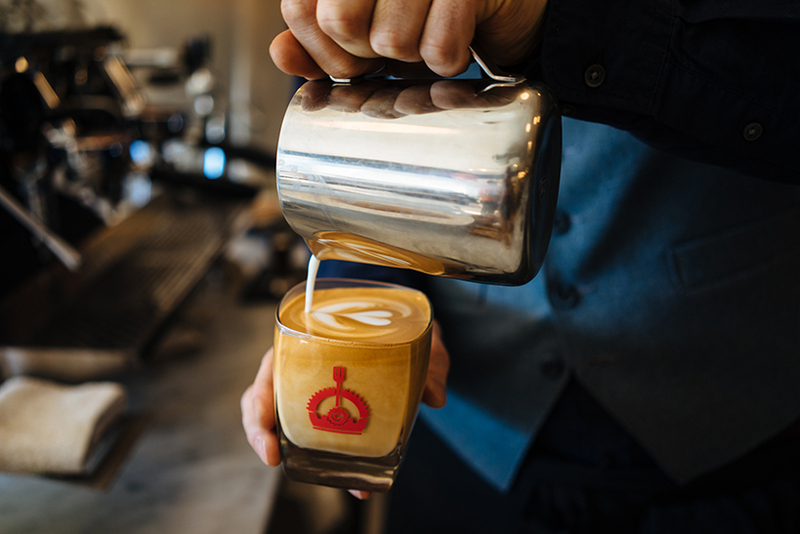 I know how much planning, coordination and plain hard work goes into making an experience like the Cognoscenti one run like clockwork in the eyes of your guests. Bike prep, erecting the Cognoscenti tent, making drink mix and filling bottles, making sushi cakes, driving support vehicles, providing mid-ride mechanical support, leading rides, setting up lunch stops before we arrived, doing laundry. The list goes on and on. You guys are stars. I think this is a selfie! 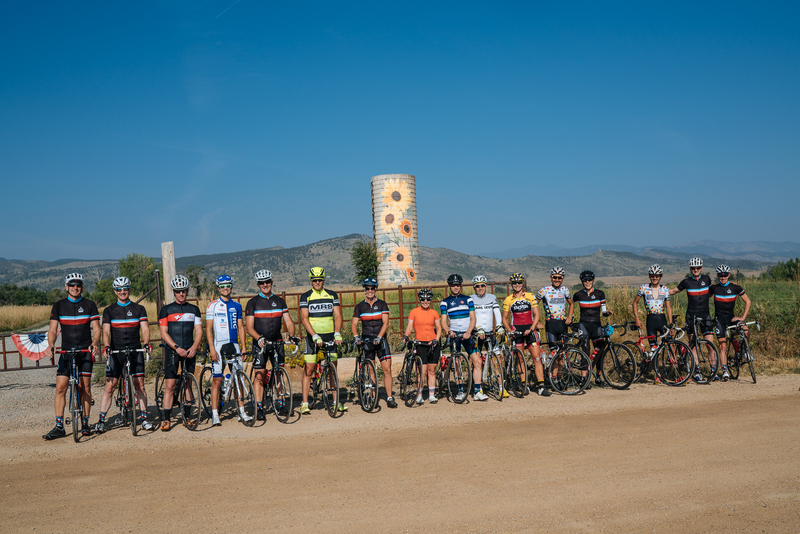 Much appreciation to the breakfast guests, the Pro guest riders, and the VeloNews editors who took time out of their schedules to ride and share their experiences and expertise with we amateurs. And finally, the man behind the lens. Without whom this would have been a largely unillustrated blog. Kevin. What an adventure. 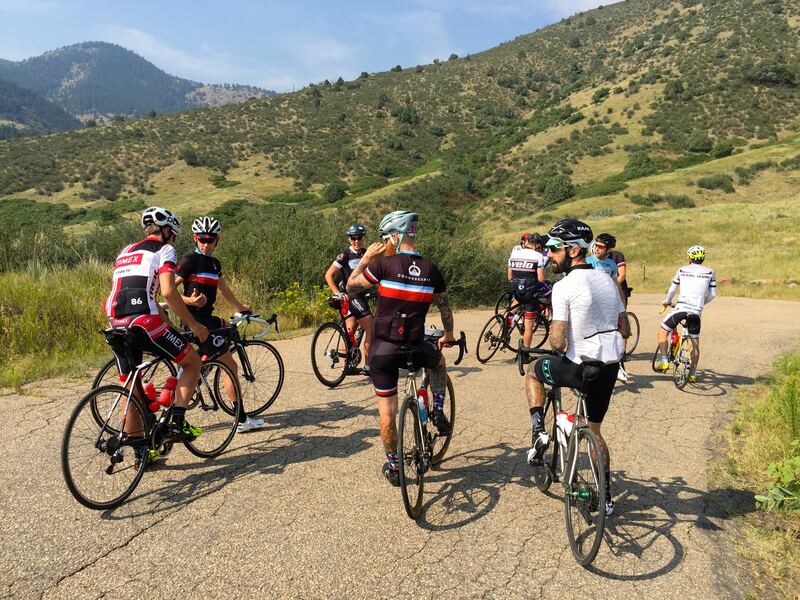 I highly recommend a Cognoscenti trip to anyone who wants to experience great riding and dining experiences in the company of a great support team and professional guest riders. 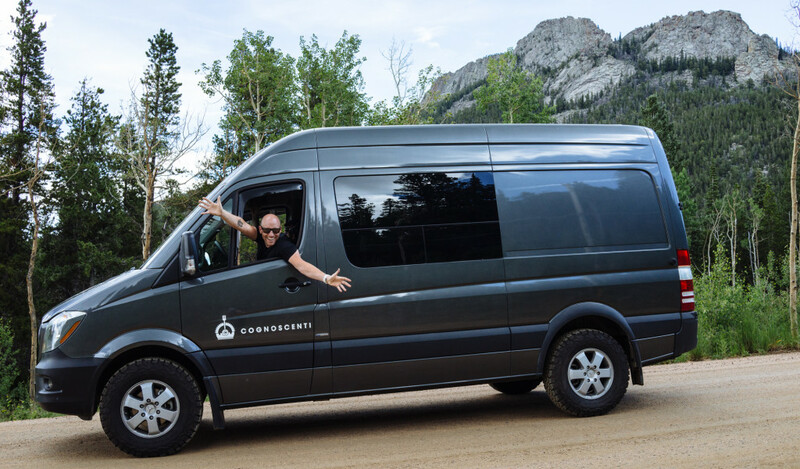 Contact Cognoscenti for their 2016 dates by clicking here. I will certainly save my pennies to Ride First Class with Cognoscenti again. 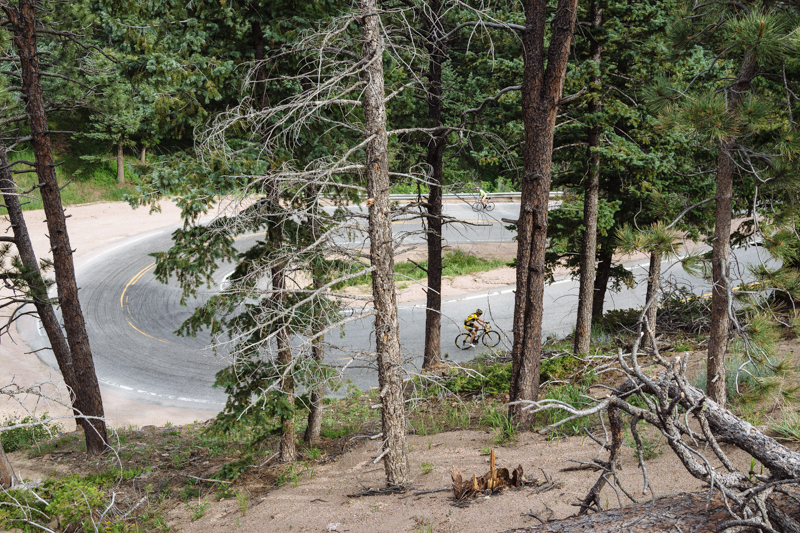 Posted in Cycling in Colorado and tagged Cognoscenti, Jamestown, Lee Hill Drive, Lefthand Canyon Drive, Ride First Class. Bookmark the permalink. A long post for a long day. Day 5 was was the biggest ride of the week. 120km / 75mi with 2,200m / 7,200ft of elevation. Our destination was Brainard Lake at 3.200m / 10,500ft above sea level. Our Pro guests on this day were Meredith Miller, Kiel Reijnen, and brothers Lachlan and Gus Morton. 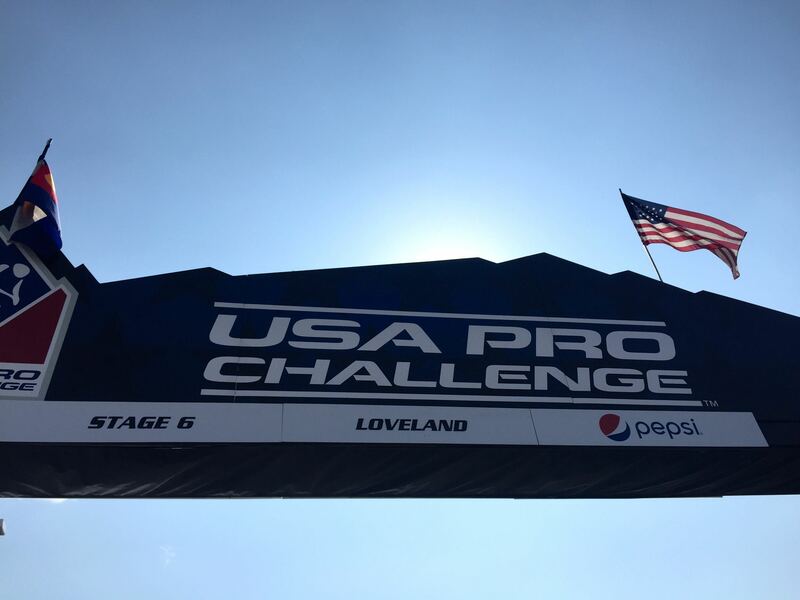 All four had competed in the USA Pro Challenge that had finished two days earlier. 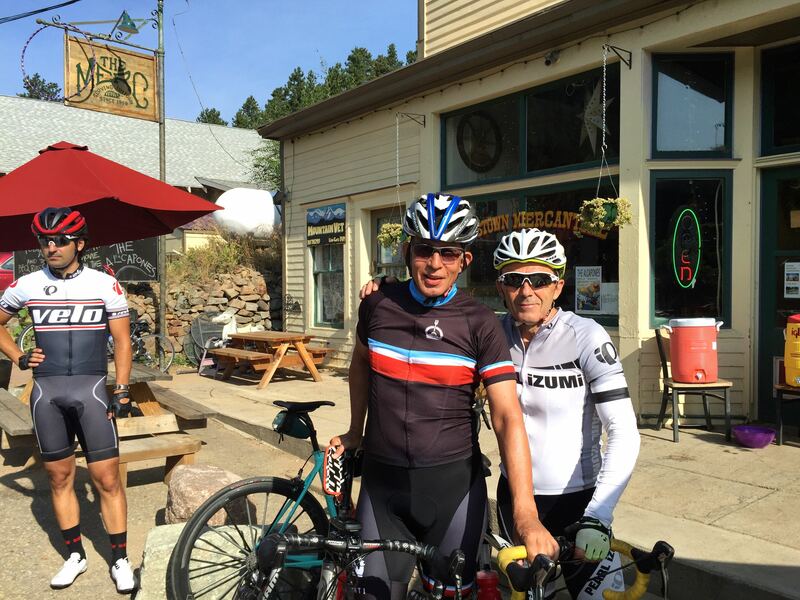 It didn’t take much to convince me to accept the offer of a ride in one of the Cognoscenti cars to Lyons in order to skip the first 33km / 20mi of the ride. I had resigned myself to the fact that I would once again be fighting for oxygen during the ride, and therefore lagging behind the group. Better to start the 23 km / 15mi climb to Raymond ahead of the rest of the group. Peter joined me on the drive to Lyons. My only regret was I didn’t get to see the Sunflower silo outside the town of Hygiene. The town got its name from a time when it had a sanitarium for tuberculosis patients. 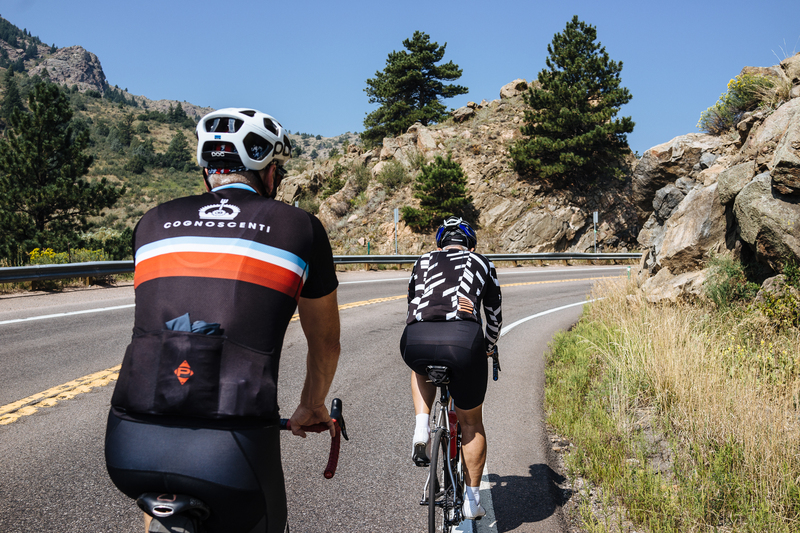 Peter and I started the gradual climb out of Lyons along South St. Vrain Drive in the company of Jon Robichaud. Jon had handed over van driving duties for the day. Jon and I were wearing the same brand and model of cycling shoes. Too bad I didn’t have his level of cycling ability to go with my shoes. 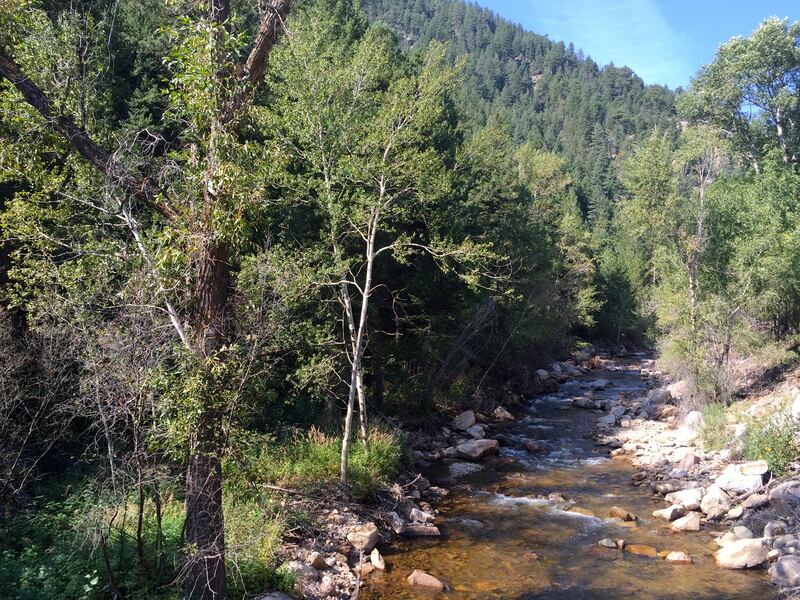 We had St. Vrain Creek on our left hand side as we rode through a variety of colorfully named gulches. Deadman Gulch and Coffintop Gulch for instance. Picture postcard stuff. So lovely that it was hard to believe that the area had been devastated by floods in 2013. Nearly 19,000 homes were damaged, and 1,500 homes were destroyed. It was nice to see that the area has largely recovered from that disaster. 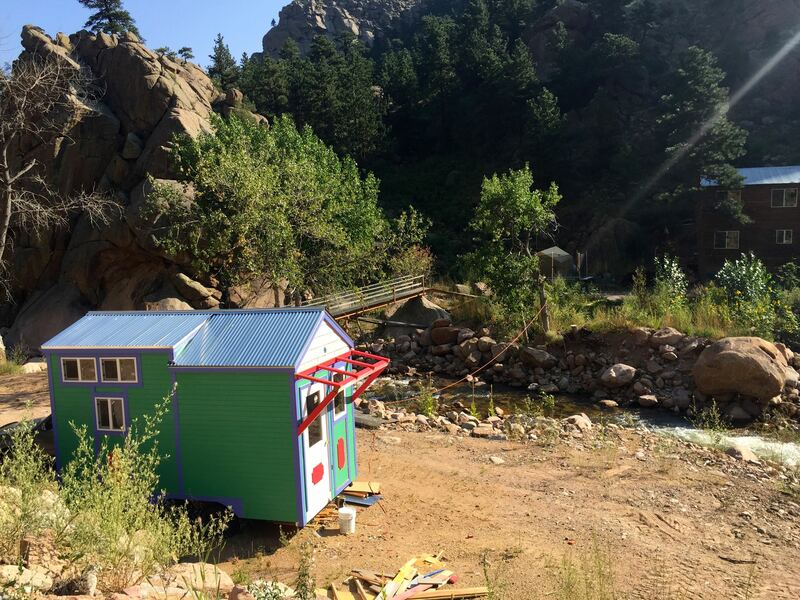 Homes along the creek have been rebuilt, including this one right out of Tiny House Nation. Peter and I impressed ourselves by getting to Raymond ahead of the rest of the group. The van was already there, and a spread of sandwiches and other nibbles from Cured was already on a table. A good thing, as the Raymond Store is only open on Fridays, Saturdays and Sundays. 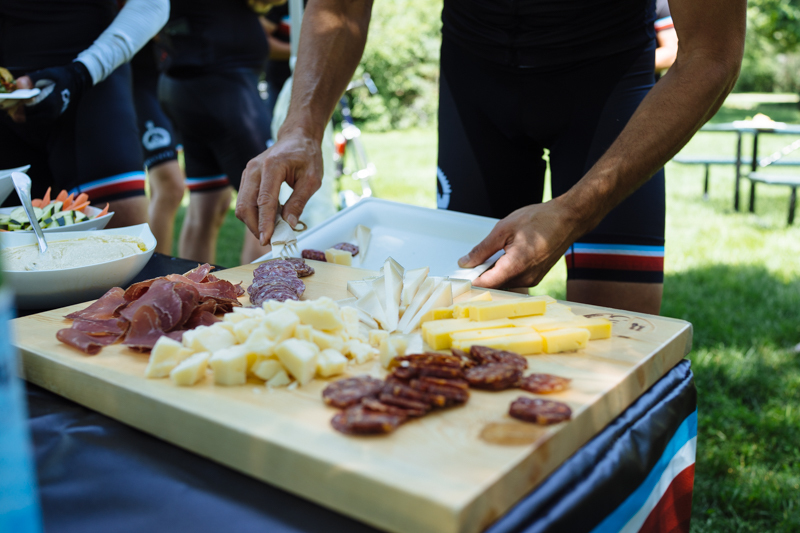 One of the many treats during this cycling vacation was the chats I had with our Pro guests. It was fascinating to listen to them talk about life as a professional cyclist, the thinking behind what team to join etc. Here Lachlan is illustrating the main reason why he is a professional cyclist, and I am not. He did a much better job of choosing his parents! 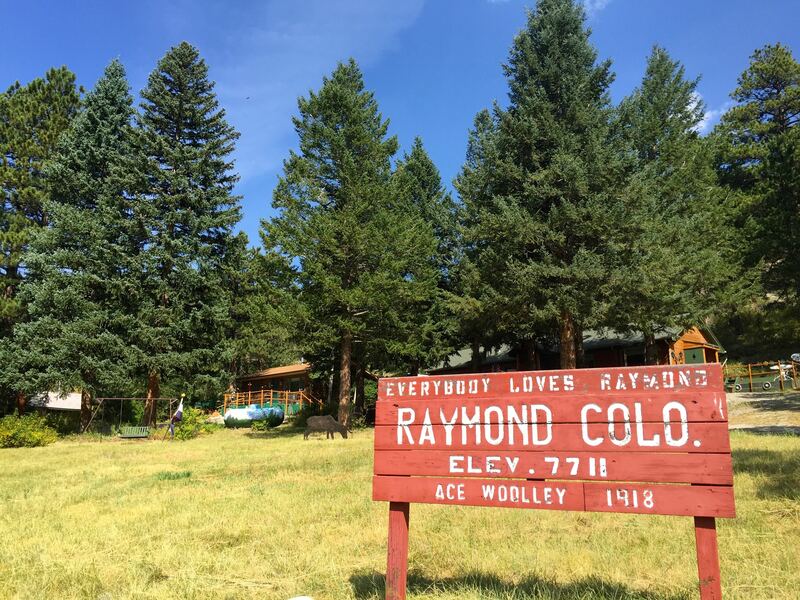 Raymond is 750m / 2,460ft higher than Lyon. 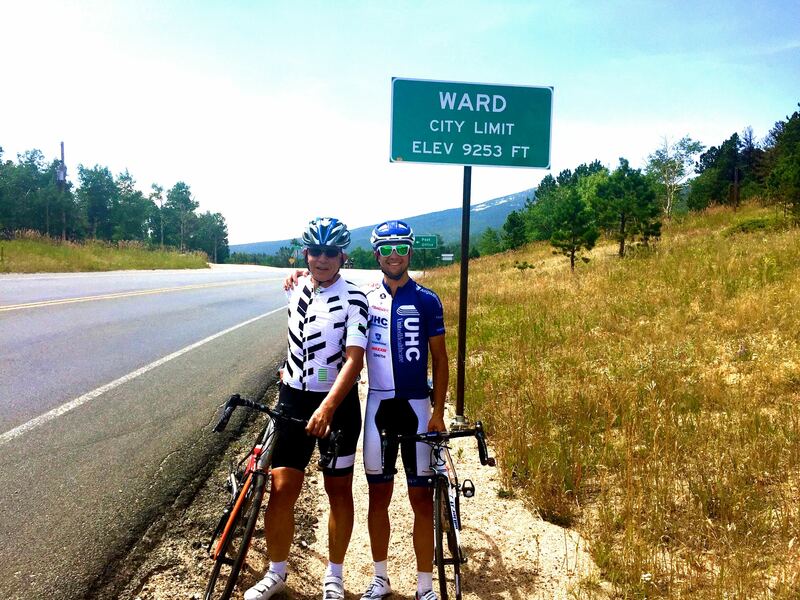 We had another 570m / 1,870ft to climb to get to Ward. We all set off on the next 16km / 10mi together. As you can see, it wasn’t long before the mountain goats pulled ahead. Before long it was just Kiel and Andrew policing Peter and I as we collectively formed the caboose of the train ahead. I was in no rush. The scenery was too beautiful not to slow down a little in order to take it all in. This is Peter cresting the final rise into Ward. I had never been so high up on a bicycle before. There was more to come. 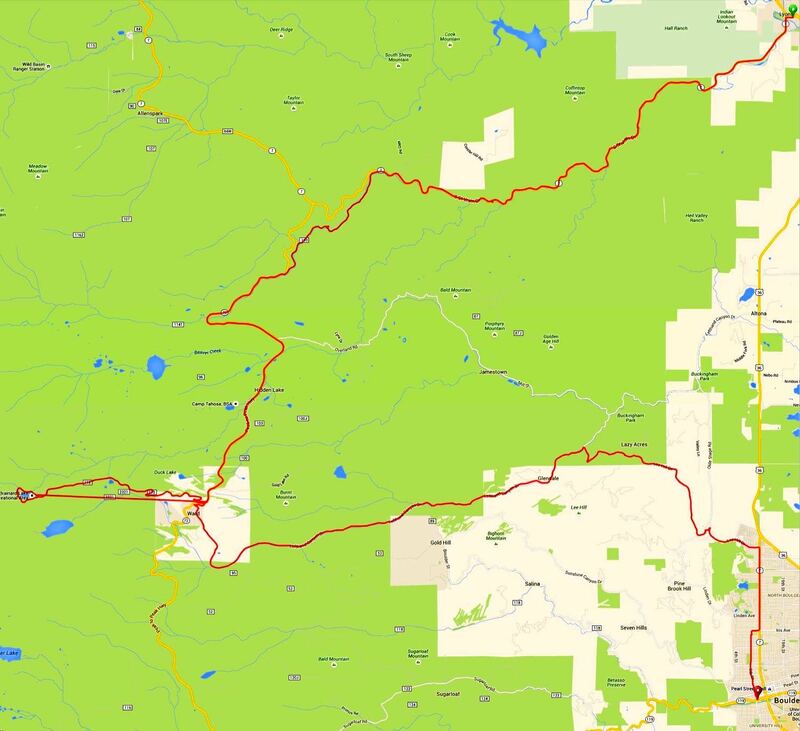 345m / 1,130ft of elevation over 9.5km / 6mi to get to Brainard Lake. I toyed with the idea of riding to the lake, but thought better of it. 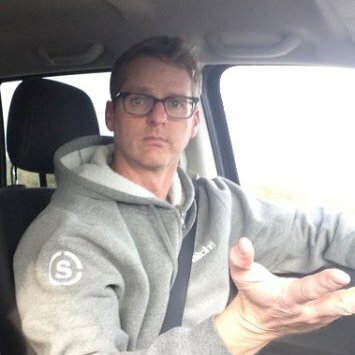 Now was not the time to question the wisdom of Karl’s suggestion that I join Peter and him in a car. As we drove up the hill I saw what a good decision that had been. Russ and Pam are strong riders. They were working hard. As was Steve, here feigning grabbing onto the car as we drove past. 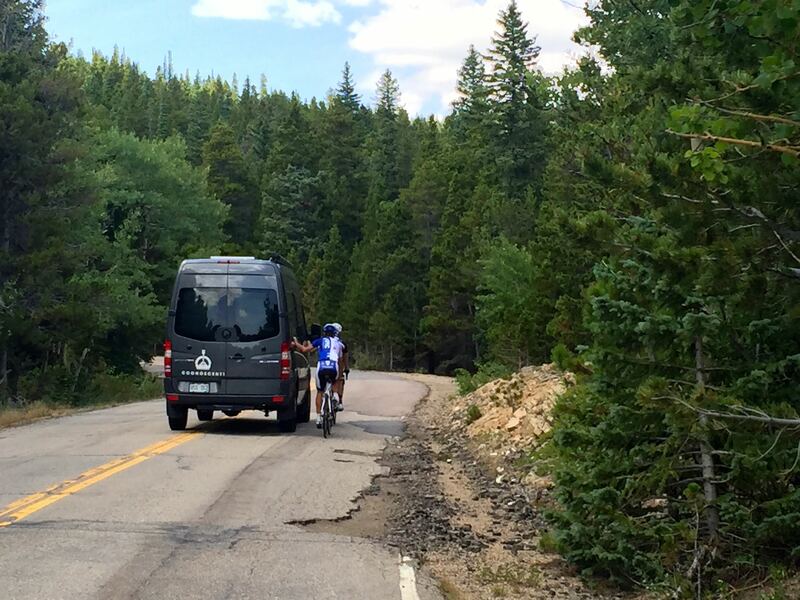 At least one pro did take advantage of a passing vehicle! Not that I blame them in the least for doing so. Chapeau to the rest of the group for riding that last section to the lake. Mindy and Pam here with Meredith Miller. I’ll be wishing Mindy, standing on the left, calm waters, a tail wind and fleet feet come October 10th, when she competes in the Ironman World Championships in Kailua-Kona, Hawaii. The amateur brothers Scott from Lincoln and Steve from Omaha, Nebraska, kept up with the professional brothers Lachlan and Gus Morton from Port Macquarie, New South Wales. Matt rocked his MRS Machining kit all week. He is justifiably proud of the business his late father and he have built over the years. One more group shot before we rode around the lake. Going downhill is always my favourite part of a ride. I heard Peter shouting “You’re a madman” as I shot down the hill ahead of him. Maybe so, but as I don’t have the genes to go uphill very fast on a bike, I might as well make use of what I have to get down as fast as I can. The thought did cross my mind as I hit 80kph / 50mph that I was putting a lot of confidence into my new bicycle. Which was rock solid all the way down the mountain. Not a wobble or a shimmy. The guys at Alchemy Bicycle Company did a good job. It was 27km / 16.7mi down from Brainard Lake. We dropped 1,180m / 3,870ft. Lots of fun, despite the scraped surface where roadworks were in progress. I didn’t expect to have to make a sharp right turn at the base of Lee Hill Drive. 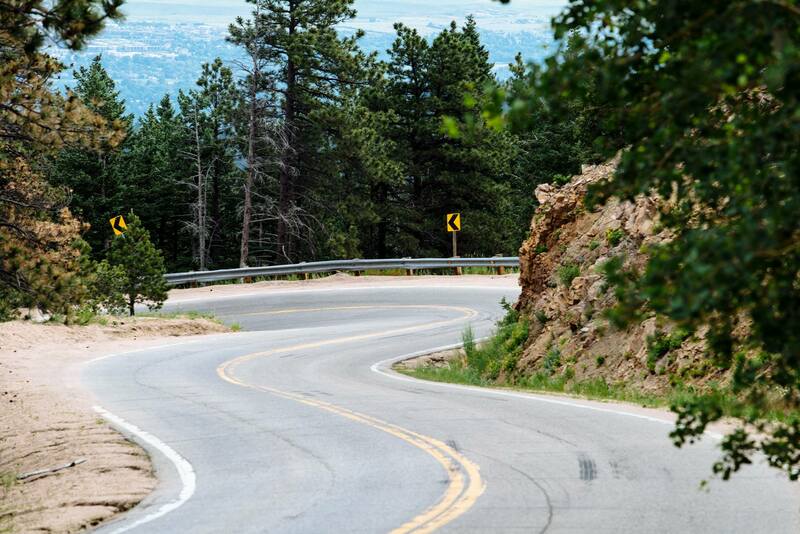 Which really should be named Lee Hills Drive, as there are two distinct climbs to get over before the last, mostly downhill, 10km / 6mi section to the St. Julien Hotel. Where salted watermelon and cold towels were waiting for Kiel, Gus and Lachlan, with Richard in the background. I had just enough time for a massage – again, ‘Ouch!’ – before we were all shuttled to Frasca for dinner. Yet again Karl and Andrew made an excellent choice of restaurant. Our dinners were uniformly superb. 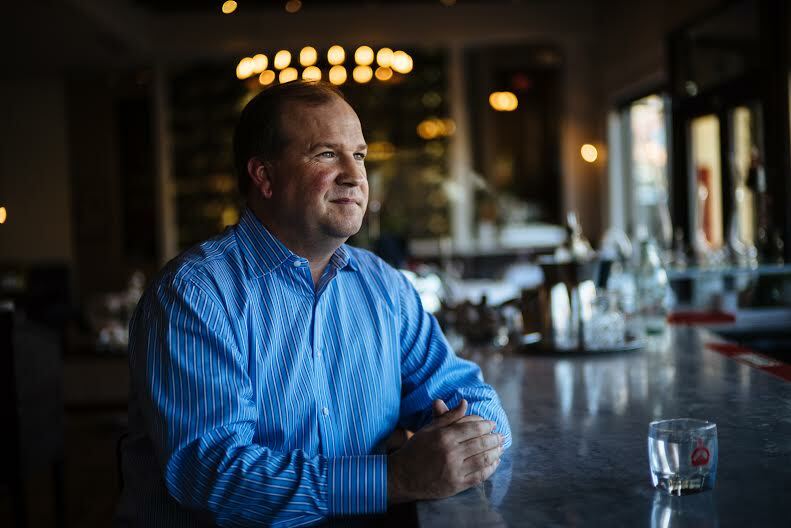 In the case of Frasca, our experience was heightened by co-owner Bobby Stuckey sharing his undeniable passion for the cuisine of Friuli-Venezia Giulia, a sub-alpine region in northeast Italy. Bobby is a natural raconteur. 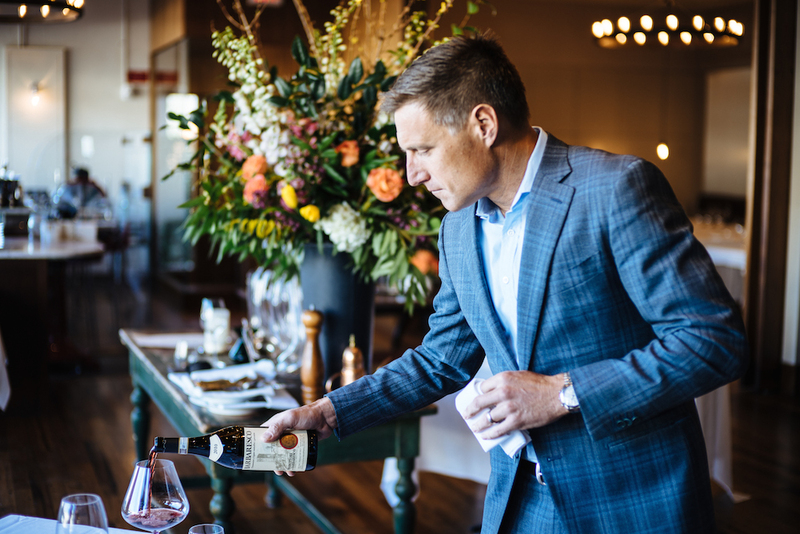 He also has deep knowledge learned and earned through his Master Sommelier Diploma from the Court of Master Sommeliers. Put those two things together, and you have an engaging and entertaining host who teaches you a thing or two about what is being served to you during the evening. 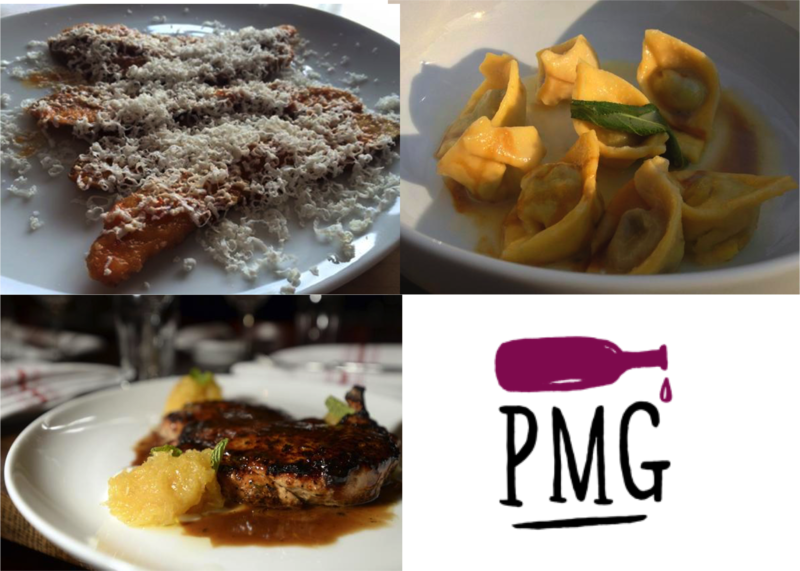 At this point I admit that I do Frasca a disservice. I can’t recall everything that we were served that evening. Apart from the fact that everything was absolutely delicious. I should have kept a menu card for this meal, which like our other dinners, was specially put together for the guests of Cognoscenti. I do remember an excellent Axis Venison Tartare, Matsutake Mushroom, Raspberry and Horseradish. Not a run-of-the-mill dish. It is a good thing that we were driven back to the St. Julien after dinner. I was too full to walk very far. I was certainly ready for my bed. We had one last 7:00am breakfast and morning ride to look forward to. Day 6 would soon be upon us. I felt things were coming to a close just a bit too soon. 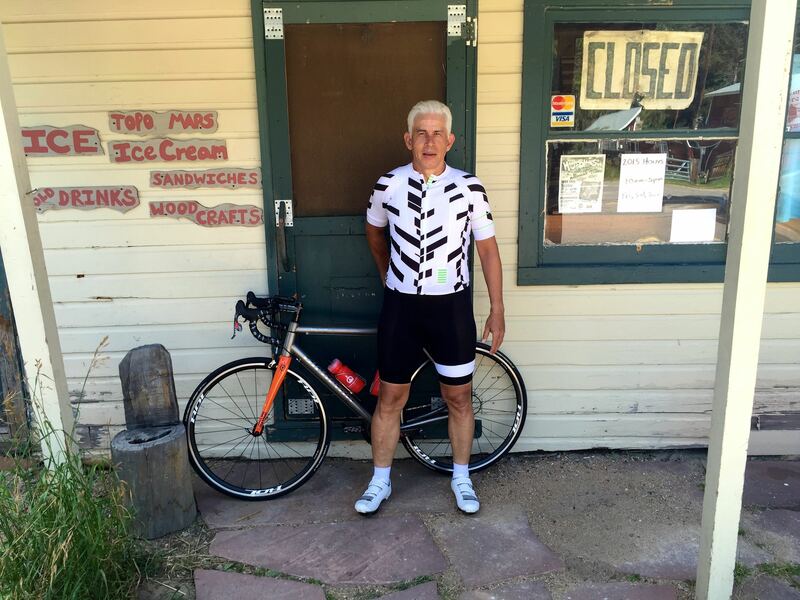 Posted in Cycling in Colorado and tagged Bobby Stuckey, Brainard Lake, Cognoscenti, Frasca, Hygiene, Lyon, Raymond, Ward. Bookmark the permalink. Day 4. My legs were sore from the cumulative effects of climbing every day. I wasn’t thrilled at the prospect of 1,100m / 3,608ft of elevation over the course of the next 80km / 50mi. On the bright side, I wasn’t shivering with cold like I had been at breakfast on Day 3. We also had two Pro guests riding with us. Timmy Duggan was the US National Road Race champion in 2012, the year he rode in the London Olympics. 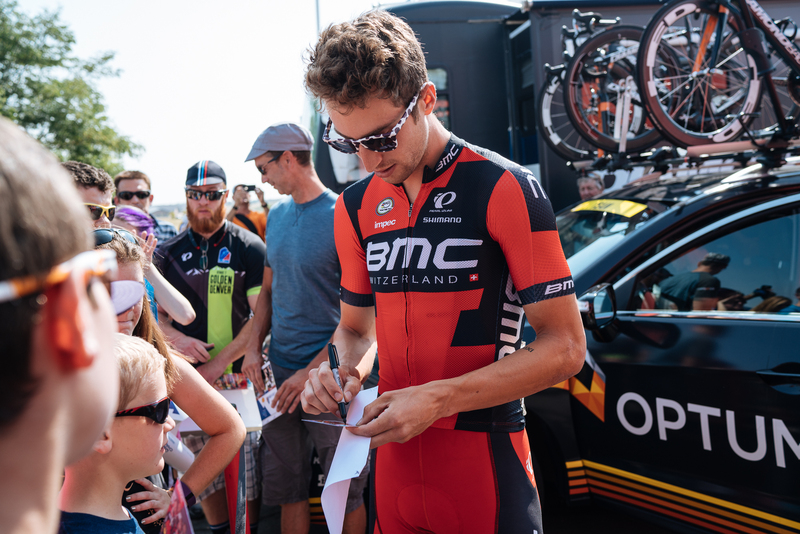 He raced in three UCI Road World Championships, including the 2012 Limburg edition. So I feel a slight affinity with Timmy, having ridden the amateur sportive event in Limburg the day before Timmy raced in the real thing. Timmy retired in 2013 from Team Saxo-Tinkoff. Among other things he devotes his time to the Just Go Harder Foundation. Will Frischkorn you will recall from Day 3. 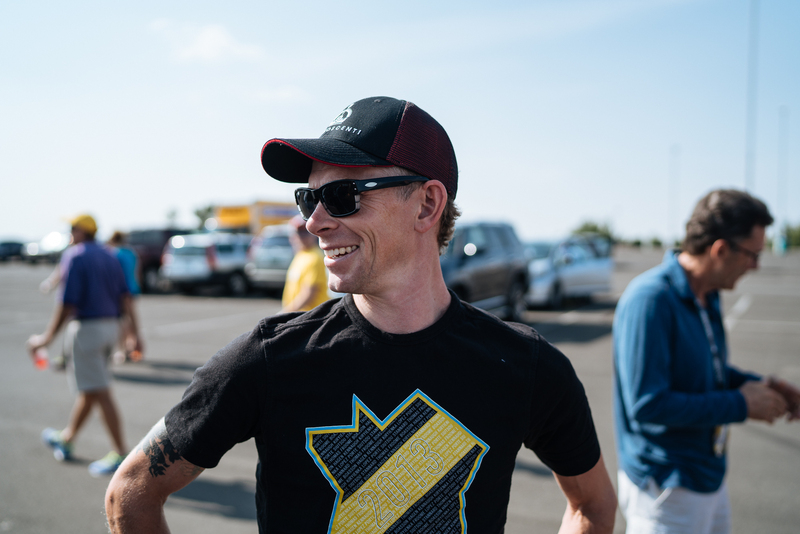 I am sure running the excellent Cured with his wife keeps Will busy enough, but he also takes time to comment on the world of professional cycling, as in this interview in VeloNews. As well as come on rides with Cognoscenti guests. We also had two other guests riding with us. Karl Maier didn’t really count as a guest, being a co-founder of Cognoscenti. But his father Peter certainly was. 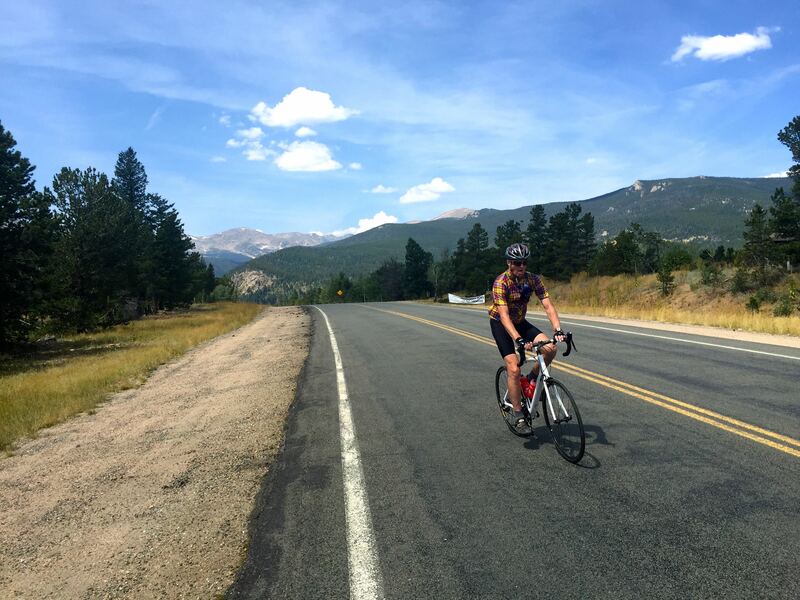 It was a treat for me to ride with Peter, who counts among his achievements in life an unsupported bike ride across America, together with a friend. At the spry young age of 62 I believe. Now there’s a goal for me to work up to over the next four years! 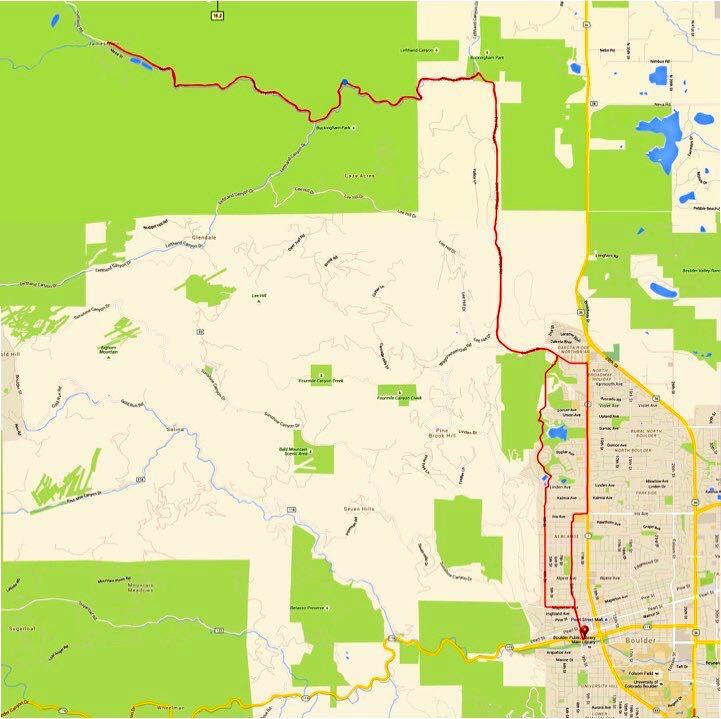 This ride started benignly enough with a slightly downhill 15km / 9.3mi run to the east past Valmont Reservoir to North 95th Street. From there the road tipped upward ever so slightly. By the time we got to Marshall Road 20 km / 12.4mi later, we had gained about 150m / 490ft. We stopped to refill bottles and down some rice cakes or cookies. 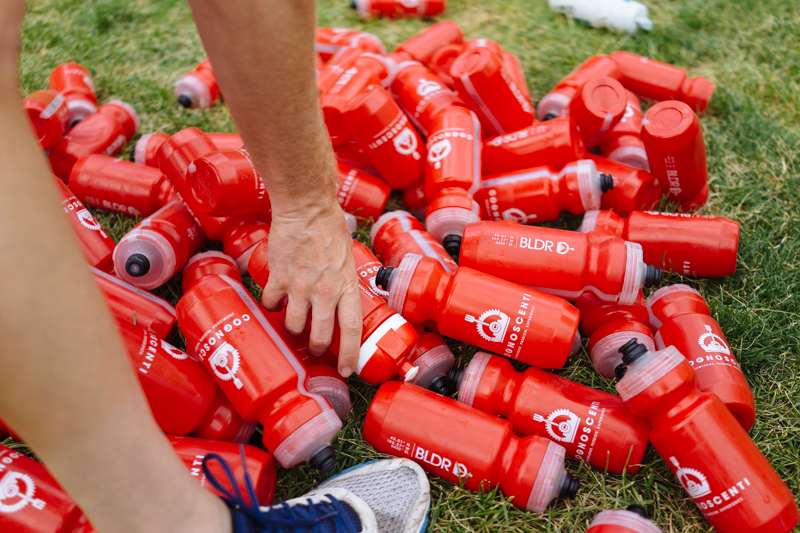 Allen Lim had told us that pro riders can down an entire bottle in one gulp. Russ went one better. I thought we would continue on up Marshall Road, but the Cognoscenti guides had a little surprise for us. We dropped off to the left onto the Mayhoffer Singletree Trail. 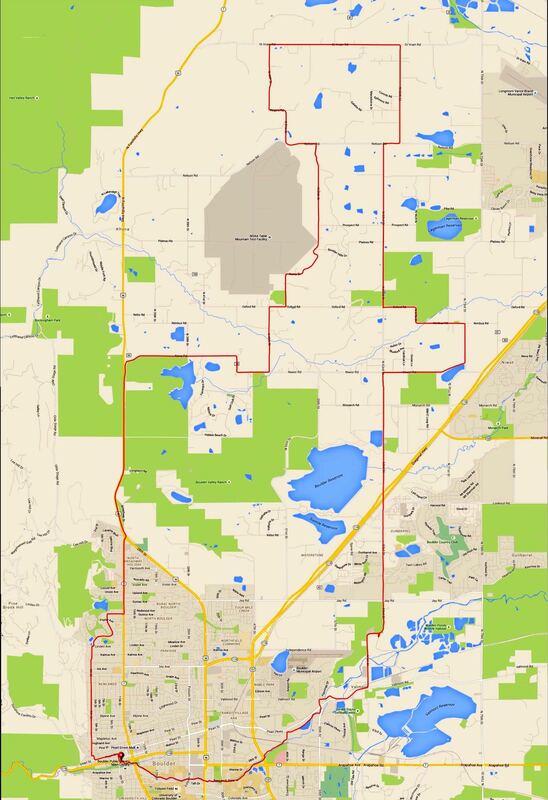 9km / 5.6mi of dirt single track. Sometimes so narrow that your shins were whipped by the undergrowth as you rode through. 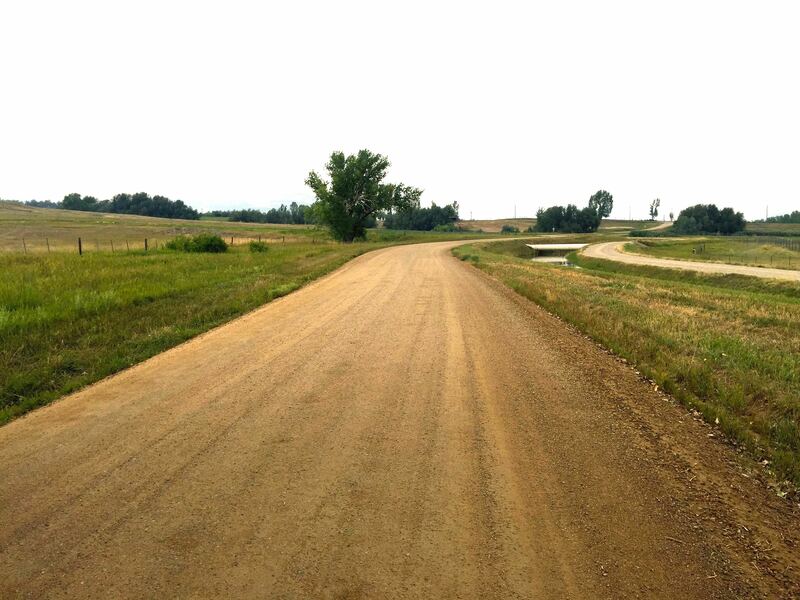 The Mayhoffer turned into the Meadowlark Trail as we rode past the Fusion-io Colorado Tech Center. Fortunately the trail wasn’t as technical as Fusion-io is, and we all popped out safely at the Coalton Trailhead. 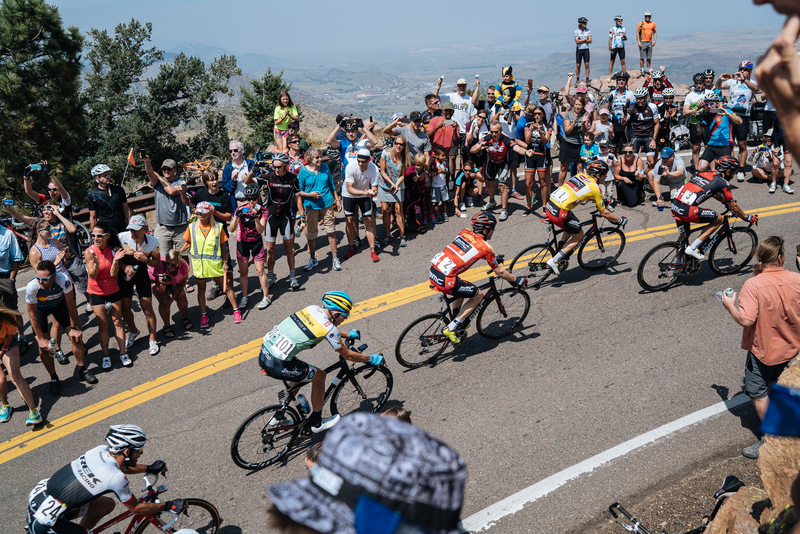 We all regrouped at the Coalton Trailhead parking lot – more bottle refills and Skratch Labs munchies – before facing “The Wall.” From its introduction in the Red Zinger Classic, which lead to the Coors Classic, The Wall has been a monument in Colorado Racing. The Wall is over 1.6km / 1mi long, averaging over a 5% grade all the way up, and topping out around 12% near the top. So I took my customary position at the back of the pack and spun my way up the hump. 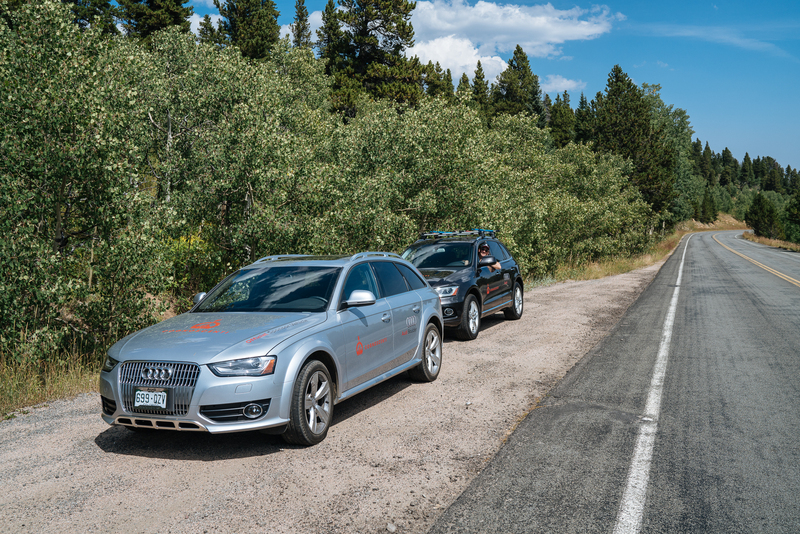 With Russ on his bike, and photographer Kevin in the Cognoscenti car, courtesy of Audi Boulder, for company. The others got to the National Wind Technology Center at the top of The Wall well before I did. By the time I got to the intersection of Highways 128 and 93, the rest were long gone. Rather than make everyone else wait for me to catch up,which was probably unlikely anyway, I accepted the offer of a bump in the Sprinter van with Jon. We rode in the van for 7km / 4.3mi before Russ and I got back on our bikes and chased the group down along the bike path on South Broadway Street. We caught the group only briefly. The road turned upward again, and the group disappeared ahead of me. 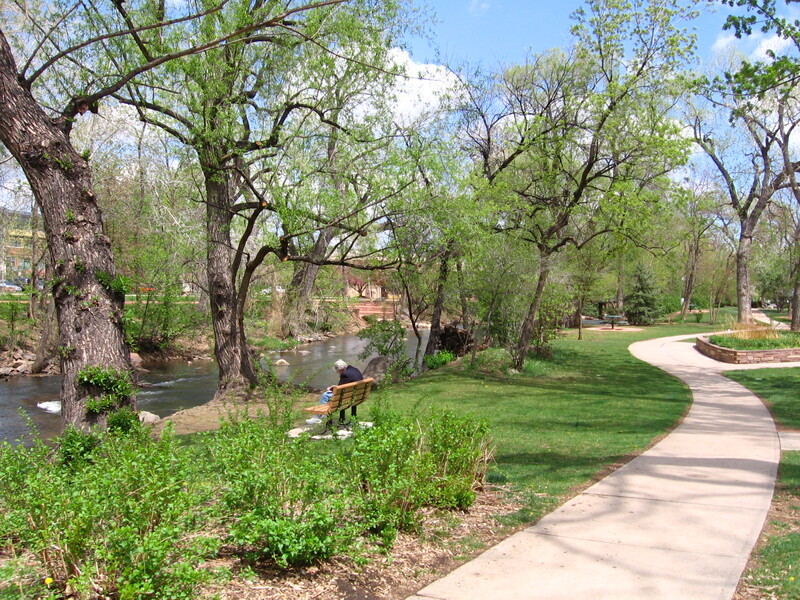 Before long Russ and I were at Chautauqua Park, and I had a decision to make. 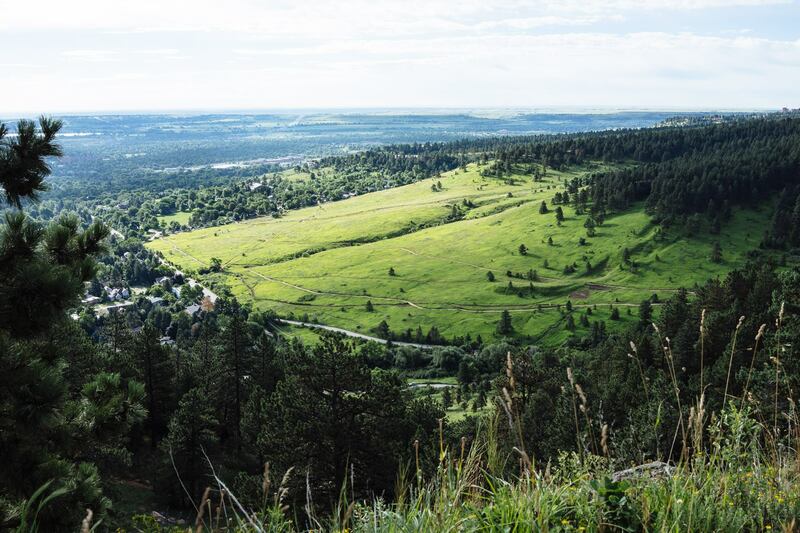 Plonk myself down at a table near the Cognoscenti tent and dive into a Cured sandwich, or follow the rest of the group up Flagstaff Mountain. I thought to myself “You came all this way. You have to give it a go.” So I headed up Flagstaff with Russ for company, and Jon following in the van, just in case . . .
370m / 1,213ft of elevation over 6.5km / 4.0mi. I wondered if The Little Engine That Could felt like I did as I negotiated the switchbacks. This is Matt showing how it is done. 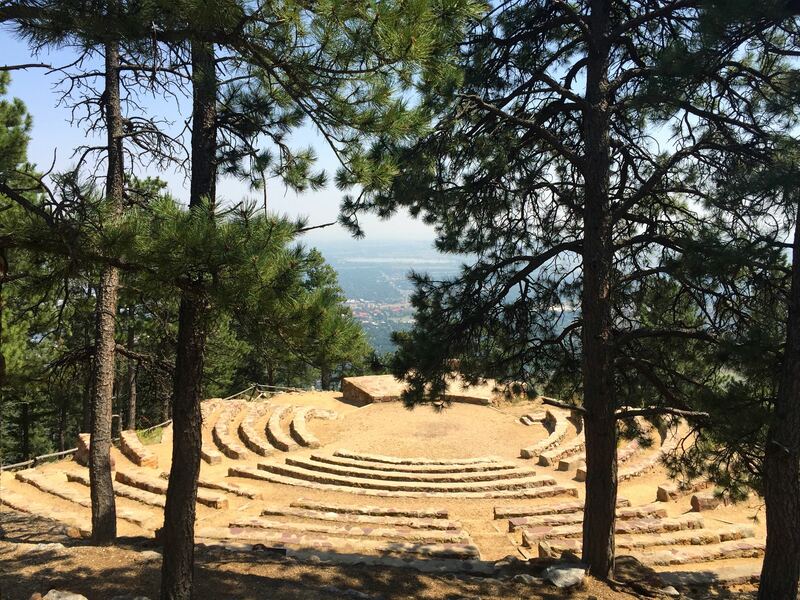 The view at the Sunrise Amphitheater was well worth the climb. “Yes” that is Boulder way down there. The rest of the group had finished posing for photographs and larking around by the time I wheezed into the amphitheater parking lot. It wasn’t long before everyone was ready to point their front wheels downward and let gravity do its thing. Always the most enjoyable part of a ride for me. Increasingly so as I regain my confidence to descend at speed post my Fraser’s Hill crash last year. Lunch was very yummy. We had come to expect nothing less from Cognoscenti. Cured once again did not disappoint. 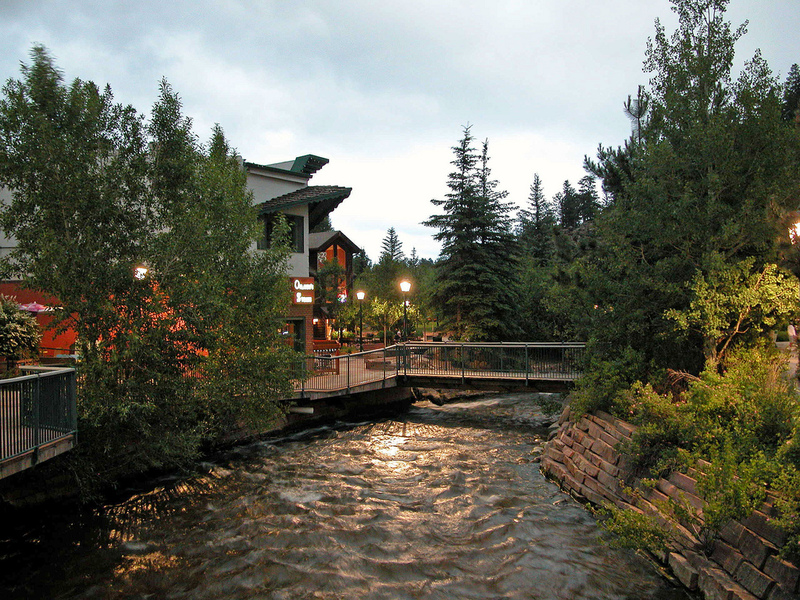 It is a good thing that Chautauqua Park is only 2km / 1.2mi from the St. Julien Hotel. And all of it downhill. I don’t think I could have managed any climbing after eating all that I did. Poco Dolce Bittersweet Aztec Chile Tiles. Need I say more? We were free for dinner. I took the opportunity to stay in and order room service. Hard to believe, I know, but I was able to eat some more that evening. The goal was to eat and get to bed early. I had been struggling with jet-lag since I arrived in Colorado. The plan was to get as much sleep as possible. Day 5 was billed as “The Big Day.” I was sure I would need all the rest I could get. 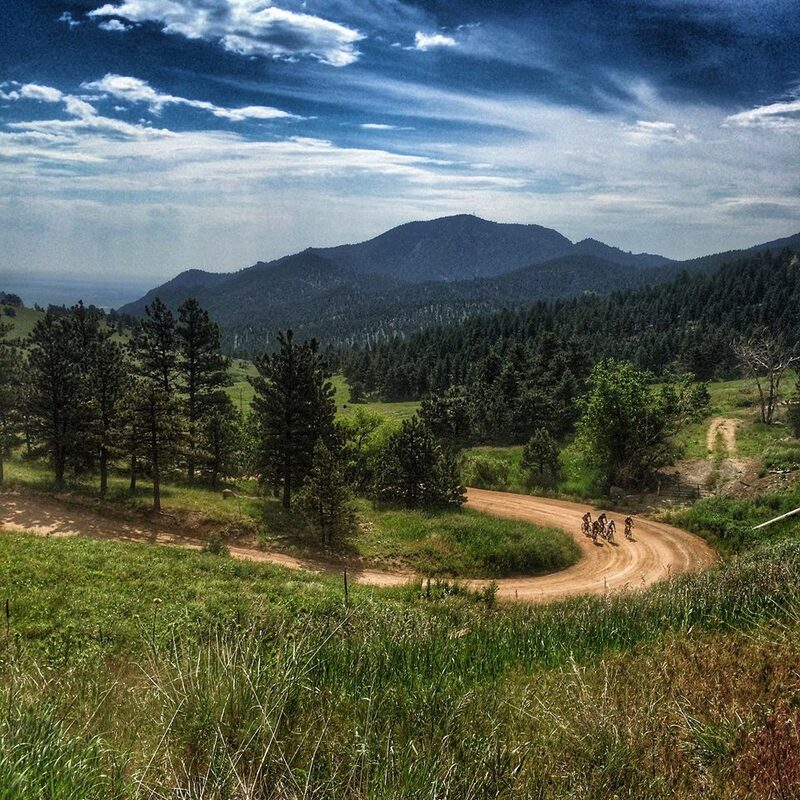 Posted in Cycling in Colorado and tagged Audi Boulder, Chautaqua Park, Coalton Trailhead, Cognoscenti, Cured, Flagstaff, Skratch Labs, Sunrise Amphitheater. Bookmark the permalink. Day 3 was a very special affair. The highlights started with a very interesting breakfast conversation with Dr. Allen Lim. “Yes” that Allen Lim. 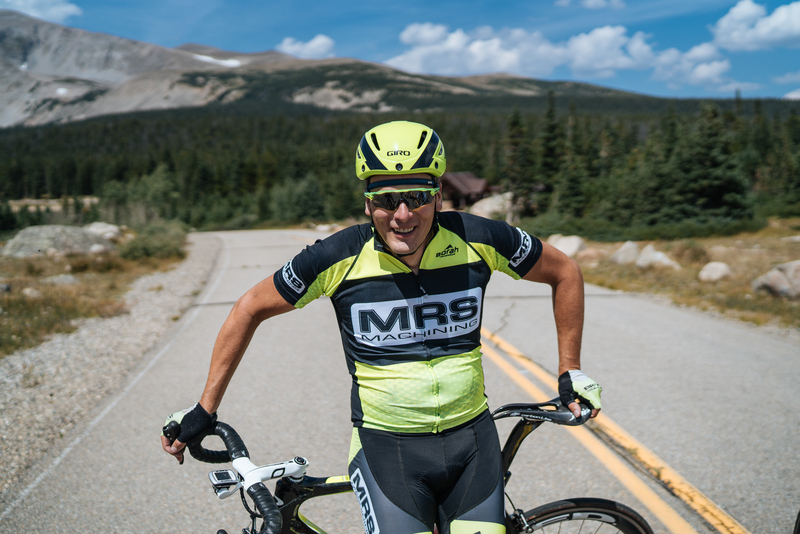 The one-time Director of Sport Science for the Garmin and RadioShack cycling teams. Perhaps better-known today as the founder of Skratch Labs. 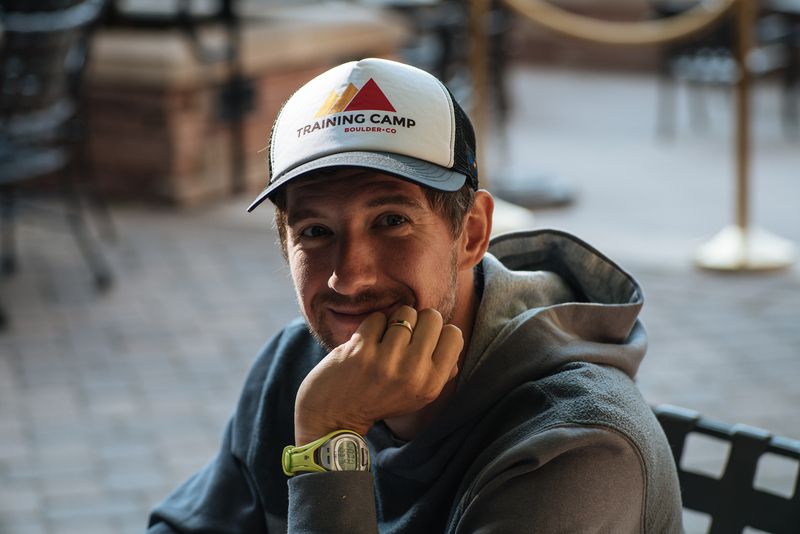 Among a myriad of other things, Allen talked about adapting to high altitude. 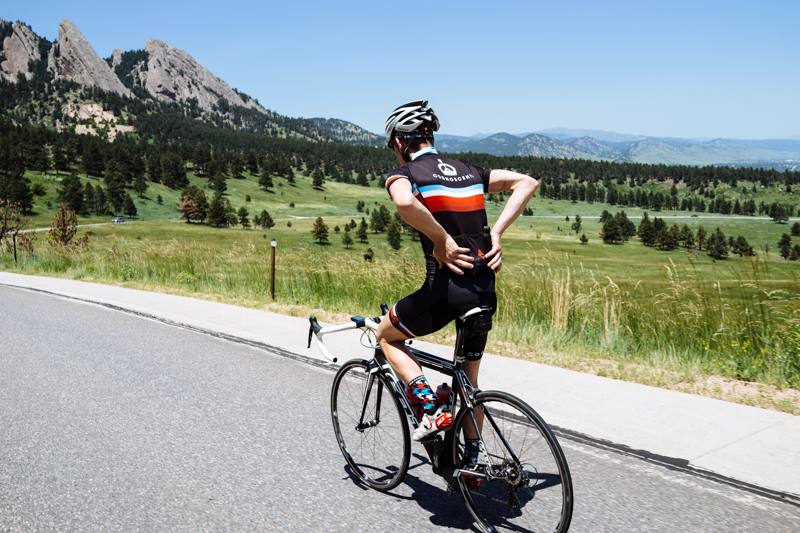 I wish he had told me about taking an iron supplement to help maintain blood oxygen levels before I arrived in Boulder. After keeping Allen speaking for far longer than planned, we all piled into cars for the ride to Golden. 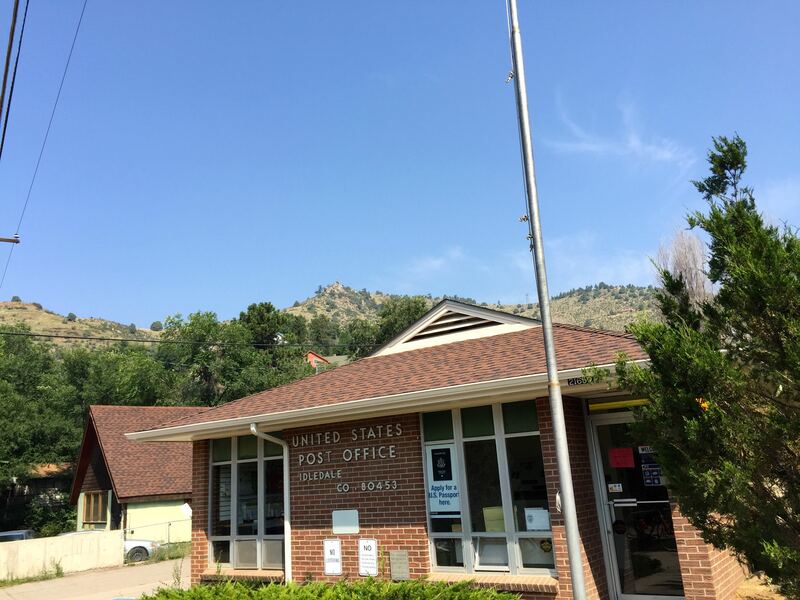 The home of the Colorado School of Mines, the Coors Brewing Company, and on this day, the starting point for a ride that would end atop Lookout Mountain. 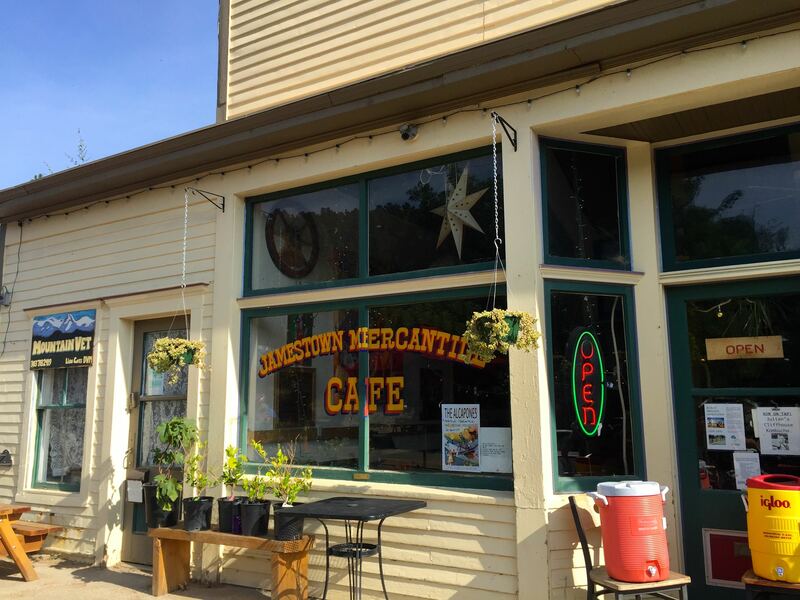 We started from the Starbucks parking lot on Washington Avenue in Golden. A spot most convenient for its access to bathroom facilities. We rolled south through Golden, but unfortunately not under the famous arch. Which would have been the second highlight of the day. 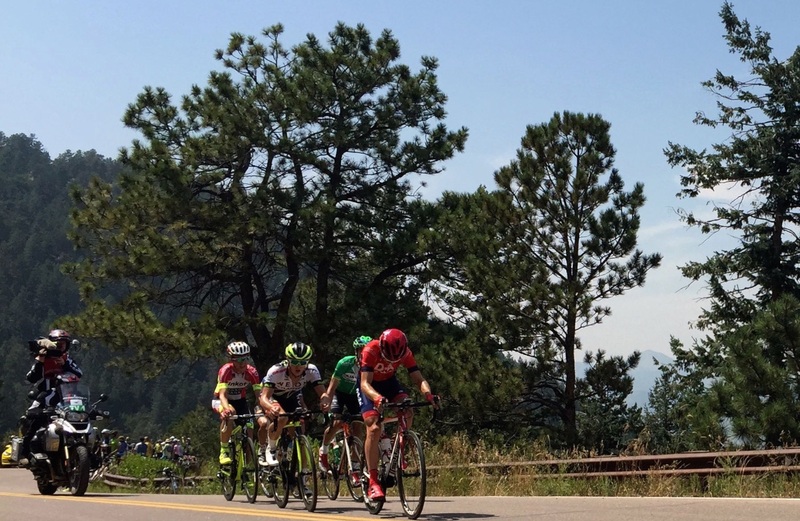 That section of Washington Avenue was already closed for the final stage of the USA Pro Challenge from Golden to Denver. 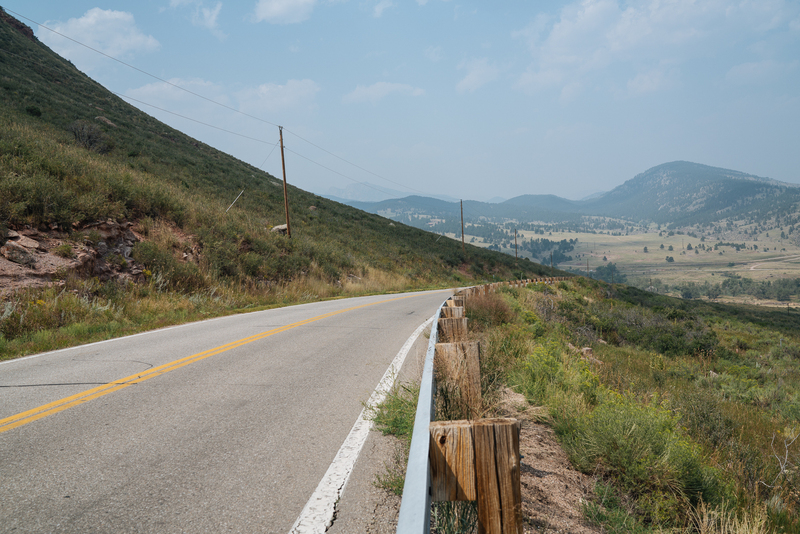 The next highlight came about 10km / 6mi later, on the climb up West Alameda Parkway in North Dinosaur Park. 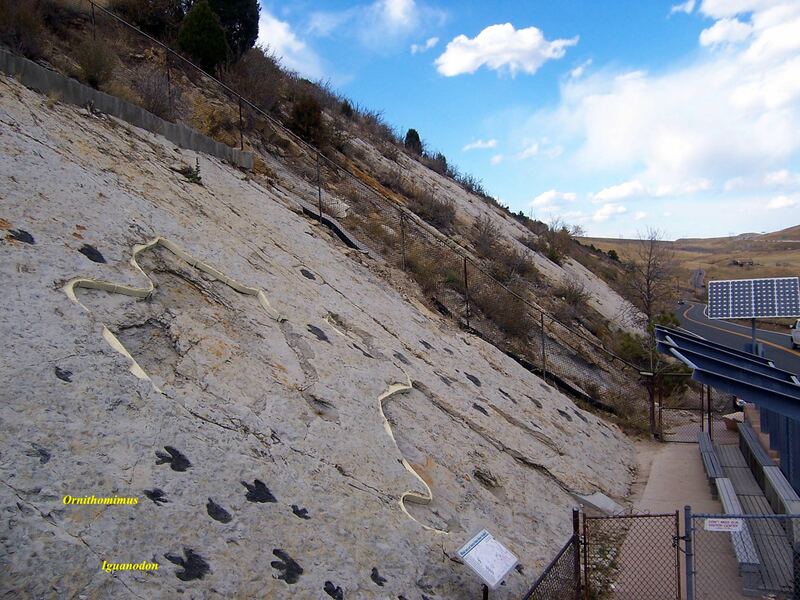 We rode past sets of dinosaur footprints in the rock face to our right. How cool is that? The highlights kept coming. Around the corner was this sight in Red Rocks Park. It reminded me of Radiator Springs from the Disney-Pixar film Cars. 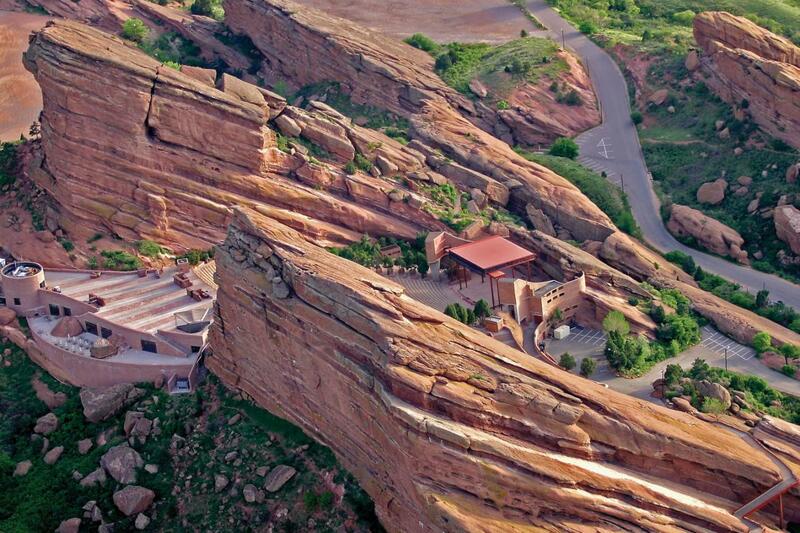 We rode within spitting distance of the Red Rocks Amphitheater, but didn’t actually see it. Which is a shame, because the photographs are spectacular. By that time we had climbed about 300m / 980ft, and I was falling behind as I moderated my effort to match my ability to take in oxygen. My ride mates were all fitter than I was! Fortunately we all took a break before the descent down Titans Road. From here it was 40m / 130ft down in the space of 0.5km / 0.3mi. I could descend faster than some of my riding buddies. But I got left behind again on the 190m / 623ft climb to Idledale. Population 78 or so. The Cognoscenti crowd added at least 15% to that number while we hung out beside the Post Office, refilling bottles and eating Skratch Labs sushi bars and cookies. 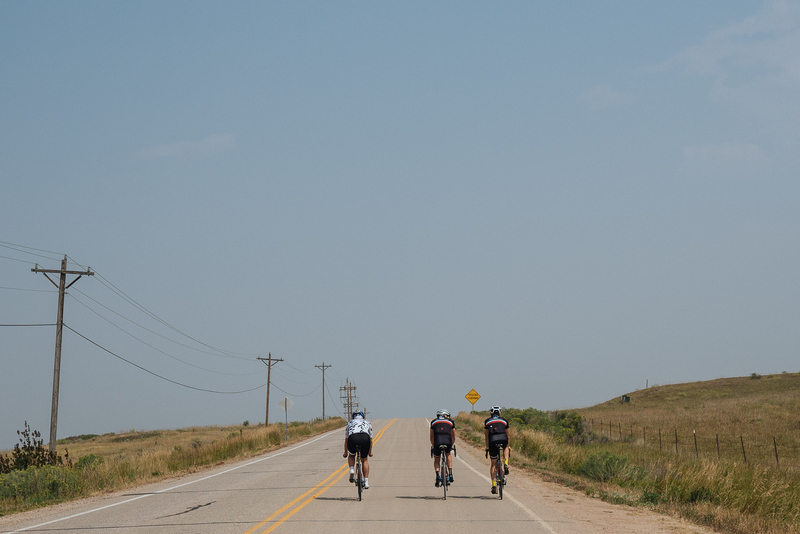 We then proceeded to climb another 310m / 1,000ft up South Grapevine Road to Interstate Highway 70. Well, the others climbed. I crawled. The group waited for me to get to the top of Grapevine so that we could shoot down together. 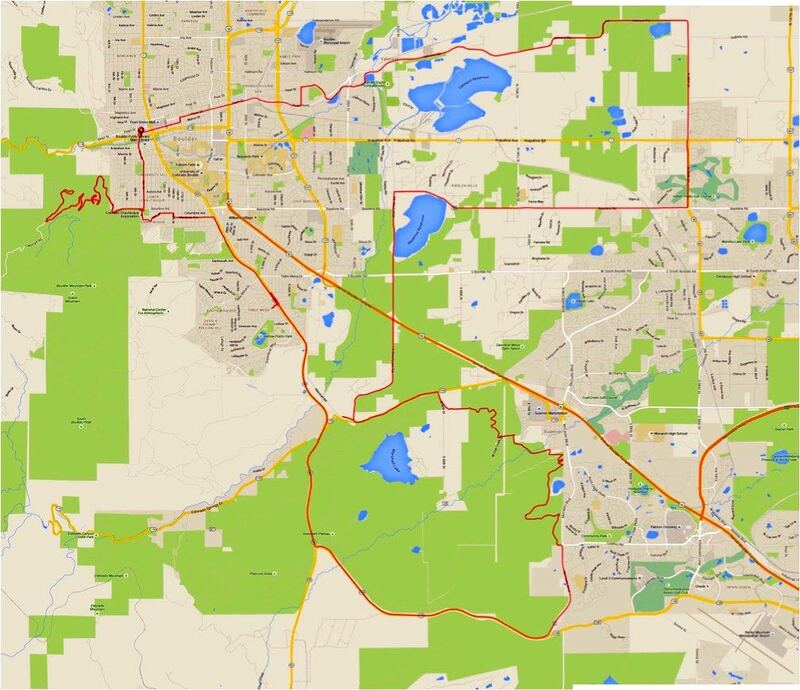 The 11km / 6.8mi run back to Golden took about 18 minutes at speeds up to 70kph / 43.5mph. Wheeee! Then it was back to heavy breathing and slow going while climbing the 450m / 1,475ft to the top of Lookout Mountain. The reward at the top was lunch, catered by Cured. Cured is a specialty grocery store, liquor store and delicatessen owned by former Garmin-Slipstream rider Will Frischkorn and his wife. Salads, handcrafted sandwiches, potato chips, nuts, olives, San Pellegrino soda, Poco Dolce chocolate tiles. All under a Cognoscenti tent. Class! Fed, watered and rested, we made our way on foot to find a good spot to watch the race come over the top of Lookout Mountain. 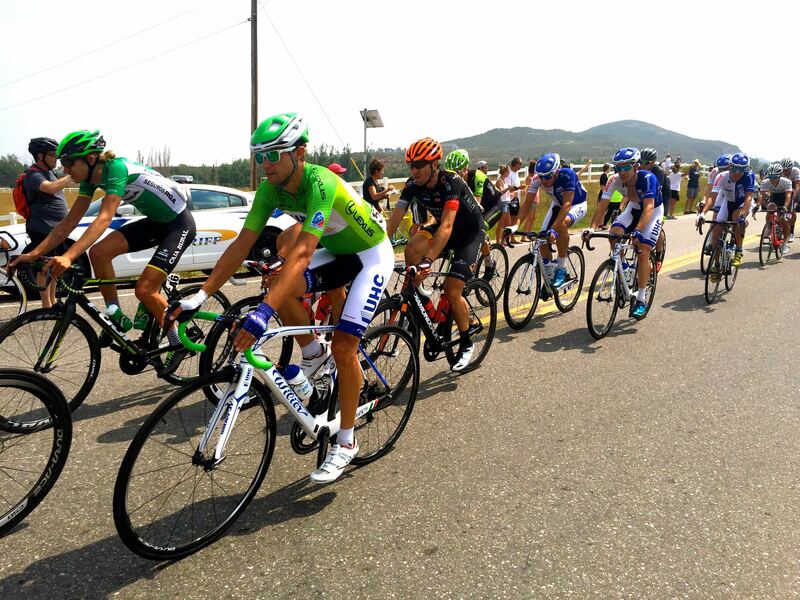 Five riders were in the breakaway. About two minutes later the rest of the peloton arrived. After the last of the peloton disappeared over the top of the mountain, we all got on our bikes and shot down the mountain the way we had come up. More wheeee! We piled into the Cognoscenti vehicles at the Starbucks for the ride back to Boulder. After a shower and a short rest I had a sports massage. One of two massages that each of us could have during our time in Boulder. All I can say is “OUCH!” That guy had hard elbows. Dinner was once again outstanding. 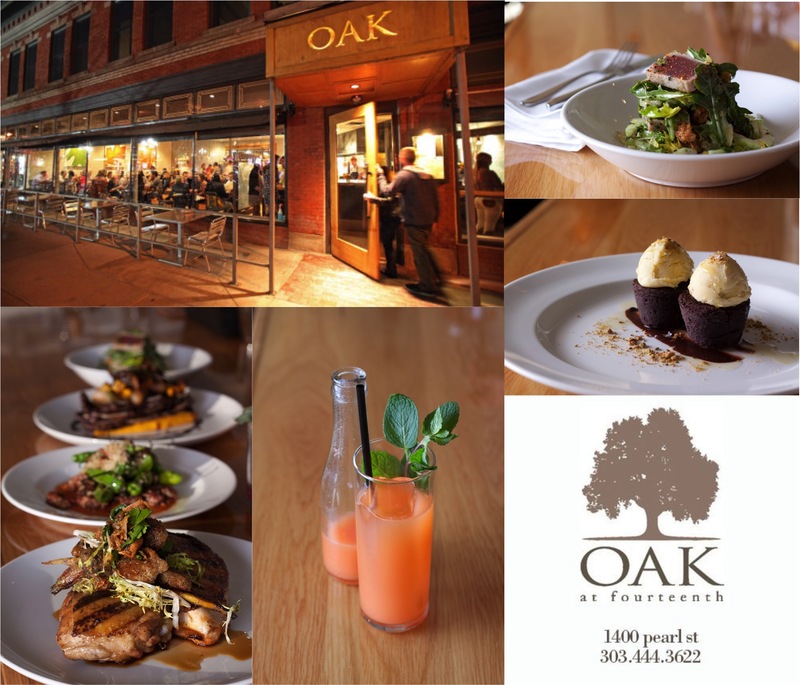 This time in OAK at Fourteenth. We had meatball and ahi tuna spoons, shaved apple and kale salad, peach and tomato salad, grilled New York strip steak, curried halibut and calamari, and pasta. Followed by salted caramel pudding. The rides get bigger with each passing day. And the good food just keeps on coming. What will Day 4 bring? 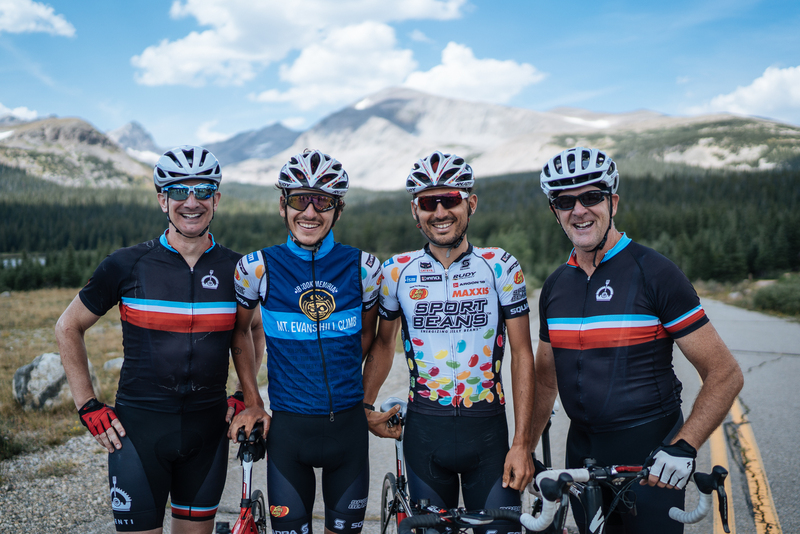 Posted in Cycling in Colorado and tagged Cognoscenti, Cured, Dr. Allen Lim, Golden, Idledale, Lookout Mountain, North Dinosaur Park, OAK at Fourteenth, Red Rocks Park, Skratch Labs, USA Pro Challenge. Bookmark the permalink. Day 2 started with breakfast on the back patio of the St. Julien. We were joined by Erin Carson, a strength coach to a number of elite athletes, including Mirinda Carfrae, the current Ironman Triathlon World Champion. Erin had us on the lawn doing exercises with foam rollers and stretch bands as she explained the importance of flexibility in certain joints and parts of the body to ensure stability in other areas. 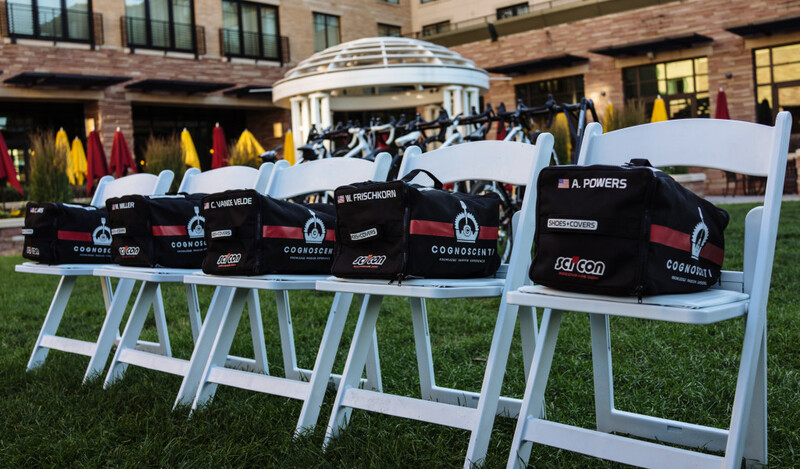 Then it was time to load our bags and bikes into the Cognoscenti vehicles for the 55km / 35mi drive to the Larimer County Fairgrounds in Loveland for the start of the USA Pro Challenge Stage 6 for men and Stage 2 for women. Our Pro guest for the day was Craig Lewis. 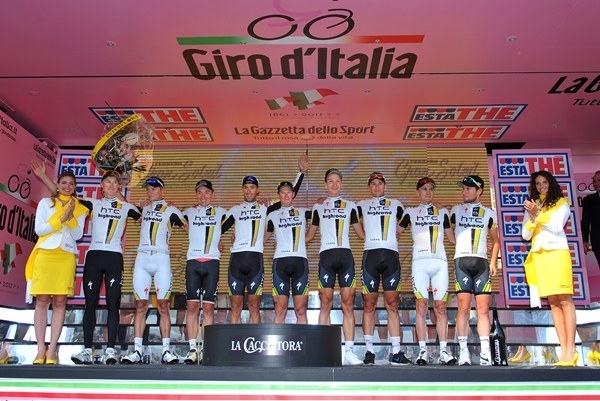 Perhaps best known for being a part of the winning HTC-Highroad TT team at Stage 1 of the 2011 Giro d’Italia. Cognoscenti provided us with passes to the start area and the VIP tent. 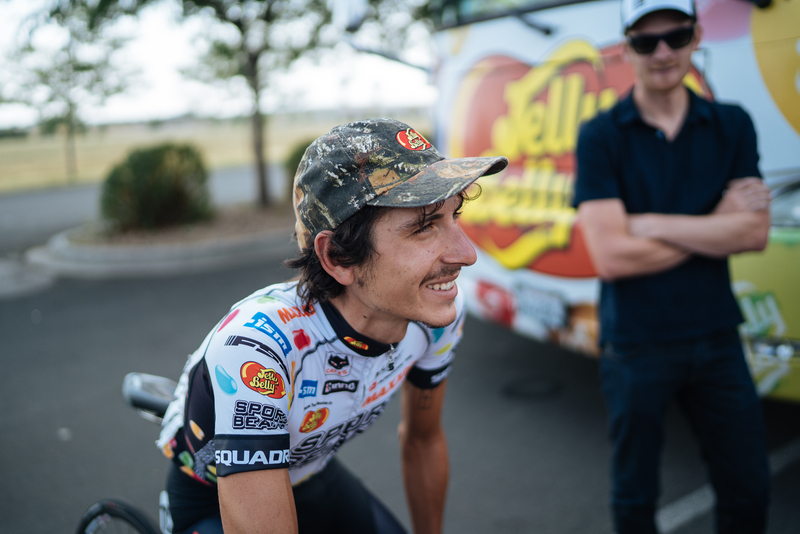 Those passes, and tagging along with Craig Lewis, allowed us to get close to some of the riders racing the USA Pro Challenge. Lachlan Morton, with Craig Lewis in the background. 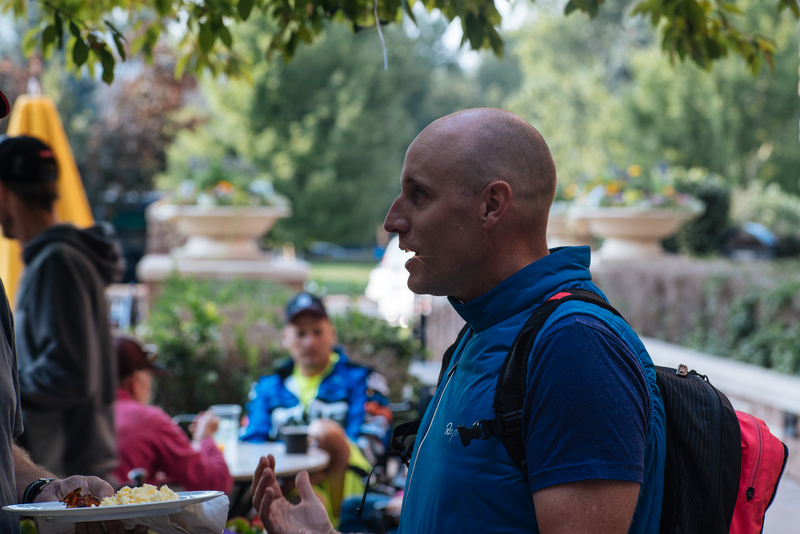 We chatted with Lachlan for a while, and would see him again as a Pro guest on Day 5. There was a bit of schwag to be had. The pack of Jelly Bellys went to my biker chick. I’ll use this custom koozie. 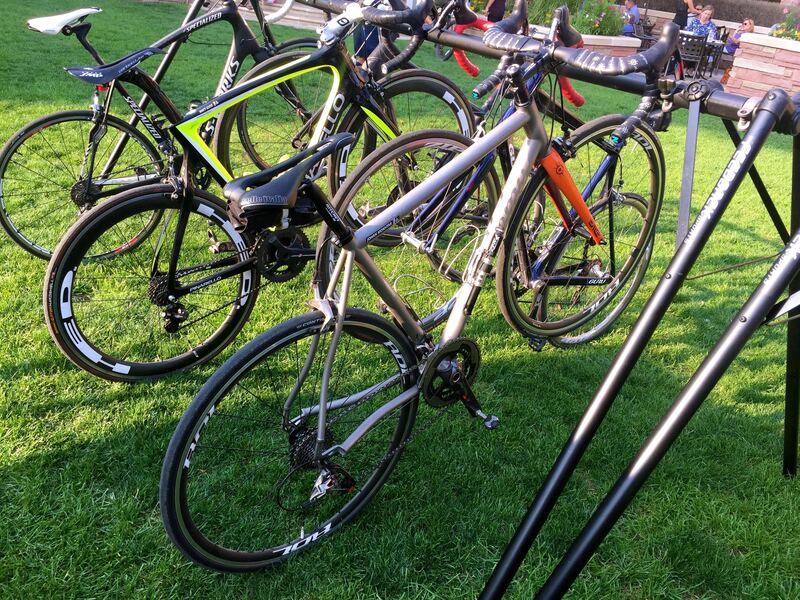 We also got a close look at the bikes the professionals were riding. This Trek Madone 9-Series has the front brake integrating with the recessed areas of the front fork, allowing air to flow smoothly over the entire surface. To allow the fork to turn, there are two little doors, called Vector Wings, on the front of the head tube that open up as the fork is turned, allowing the center-pull brake cable to rotate. 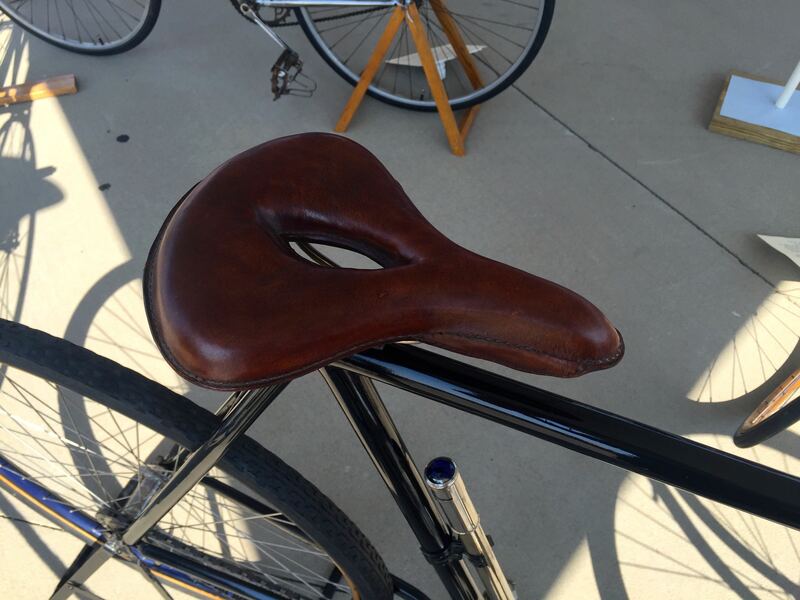 Just to show that some ideas have been around for a long, long time, this saddle with a central pressure relief cut out was on a vintage bicycle being displayed near the VIP tent. The bicycle dates from 1898. 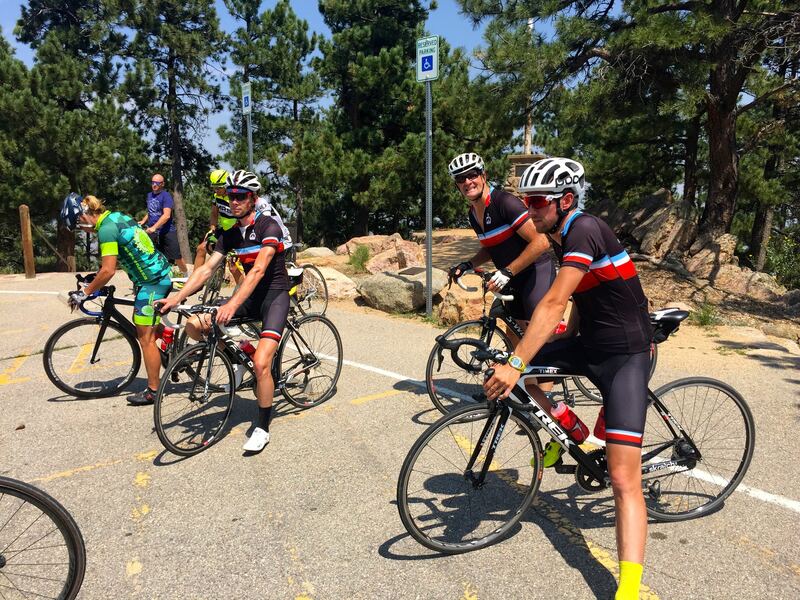 These guys look surprisingly relaxed ahead of a 165km / 102 mile stage race from Loveland to Fort Collins. 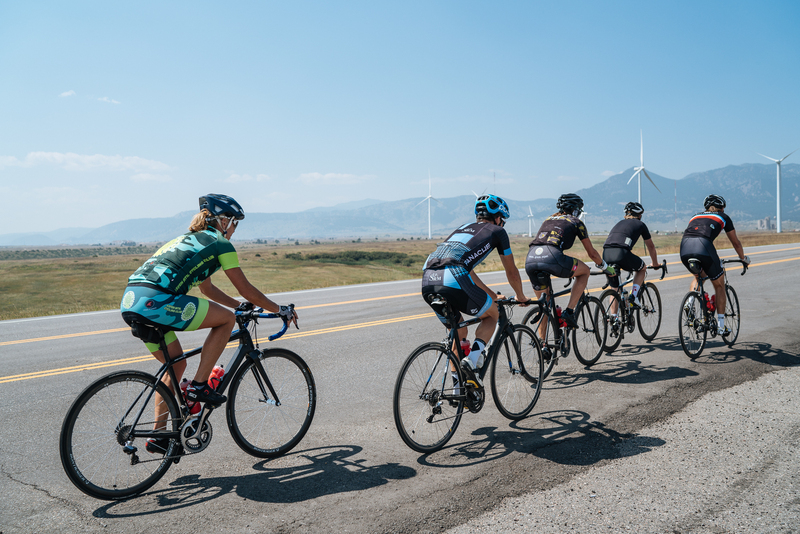 After the women’s and men’s races were flagged off, we started our 92.5km / 57.5mi ride back to Boulder. Our route crossed the men’s race route, so we stopped to watch the riders zip past. 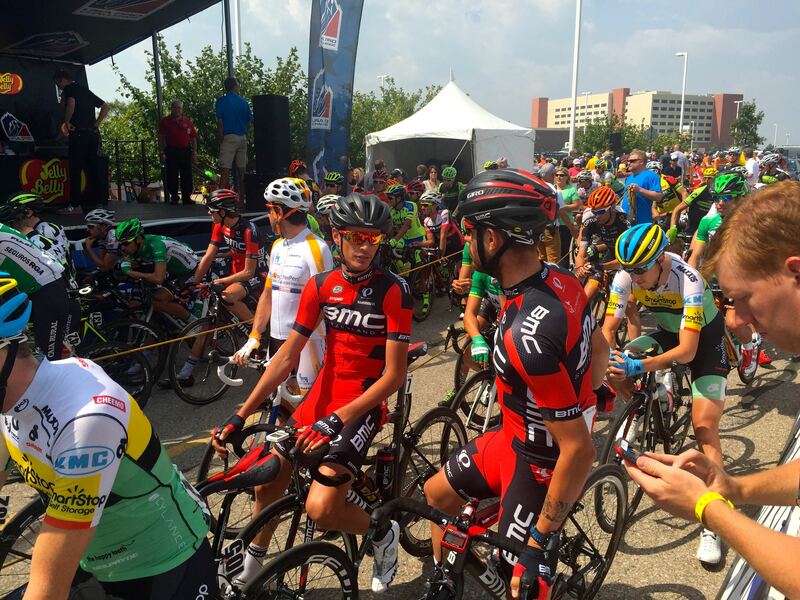 Kiel Reijnen of UnitedHealthcare Pro Racing was in the green Sprinter’s jersey. A jersey he kept all the way to the finish of the race. We got going again onto quite a steep climb up to Carter Lake Reservoir. 175m / 574ft over 6km / 3.7mi. I resigned myself to being dropped by the group on the climbs. That happened a lot over the rest of the rides. 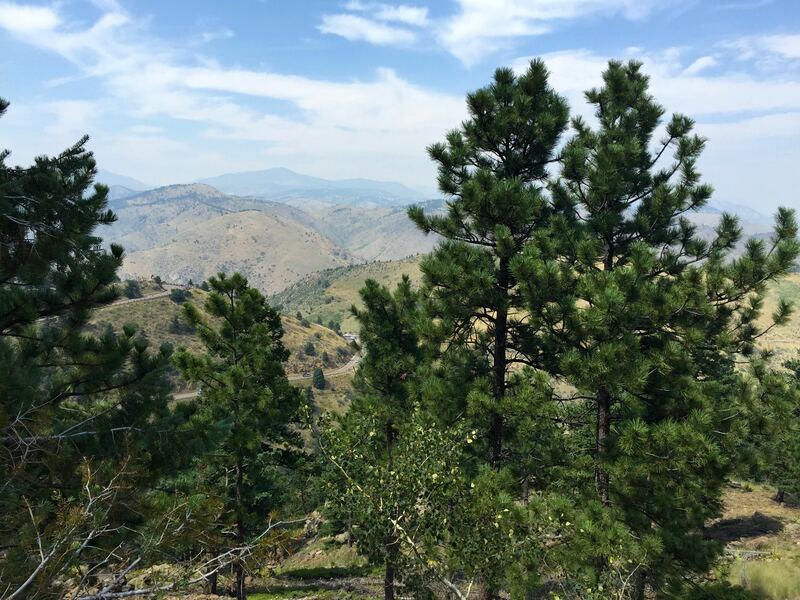 We had a hydration and feed stop at Eagle Campground – hello Fig Newtons – before descending along the east side of the reservoir. 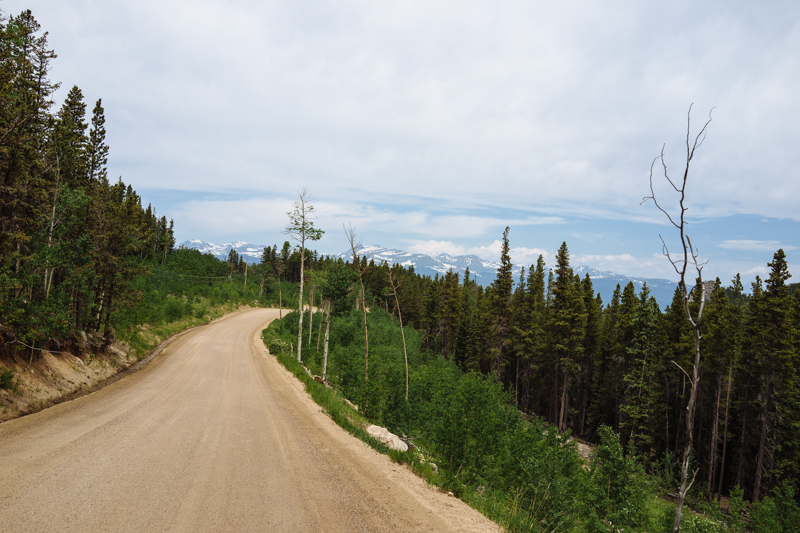 Our route included a section of dirt road with some loose gravel to get the adrenaline pumping. I spent a lot of time chasing back to the group after struggling up some incline or other. 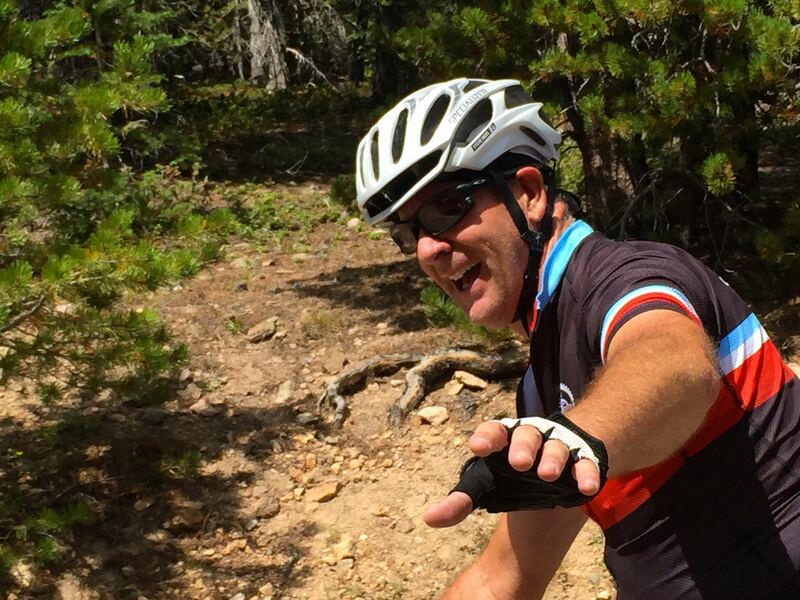 Thank goodness for Cognoscenti guide Tristan Brown on his Boo Bicycle, and Craig Lewis, who kept me company. It was a relatively long day in the saddle. I think we were all grateful for the watermelon and cold towels at the St. Julien. There was time for a shower and laundry drop off before we regrouped for pre-dinner drinks. Dinner was at The Kitchen Upstairs. True to its name, the restaurant is at the top of a flight of stairs. My legs were not happy as I hauled myself up to our table. It was worth the climb. The surroundings were lovely, the company was excellent, the service was good and the food was fabulous. Marinated olives,spiced nuts, roast beetroot salad, radish salad, pizza, salmon, goat gouda gougères, polenta, summer succotash, summer risotto, chocolate cake and Eton mess. The first full Cognoscenti day was done. Day 3 promised to be another great day. 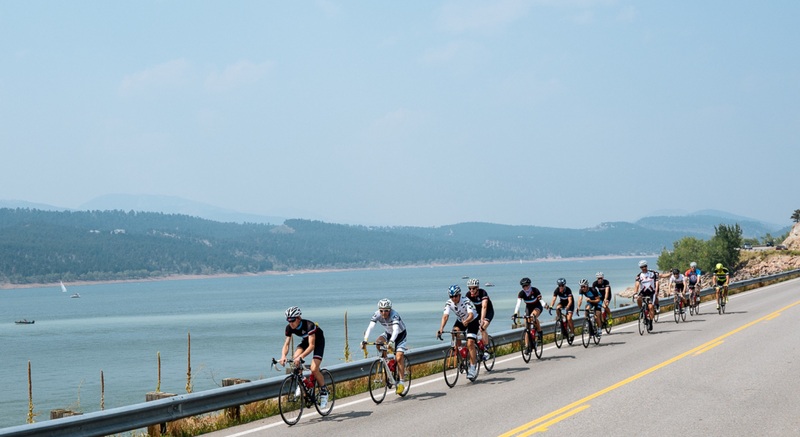 Posted in Cycling in Colorado and tagged Carter Lake Reservoir, Cognoscenti, Loveland, The Kitchen Upstairs, USA Pro Challenge. Bookmark the permalink. 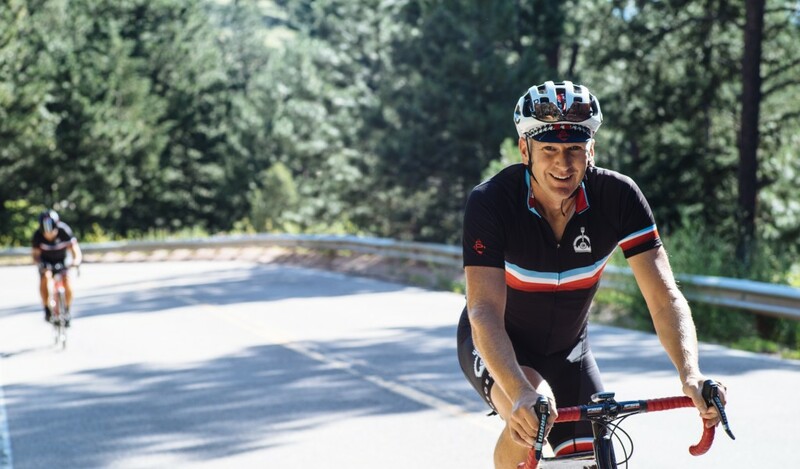 Day 1 of my Cognoscenti adventure started with Karl Maier, one of the founders of Cognoscenti, picking me up from the Airbnb house where I was staying in Denver, and transporting my bike and I to the St. Julien Hotel in Boulder. My home for the next six days. Andrew Knowles, the other founder of Cognoscenti, met us in the lobby of the hotel, where I was given my rain bag, stuffed with goodies. Bottles, Townie Syndicate tire levers and tools, Skratch Labs hydration and nutrition products, chamois cream, sun block, moisturizer, waterproof pouch, cap, and some bedtime reading. Note the name tag. A nice touch. 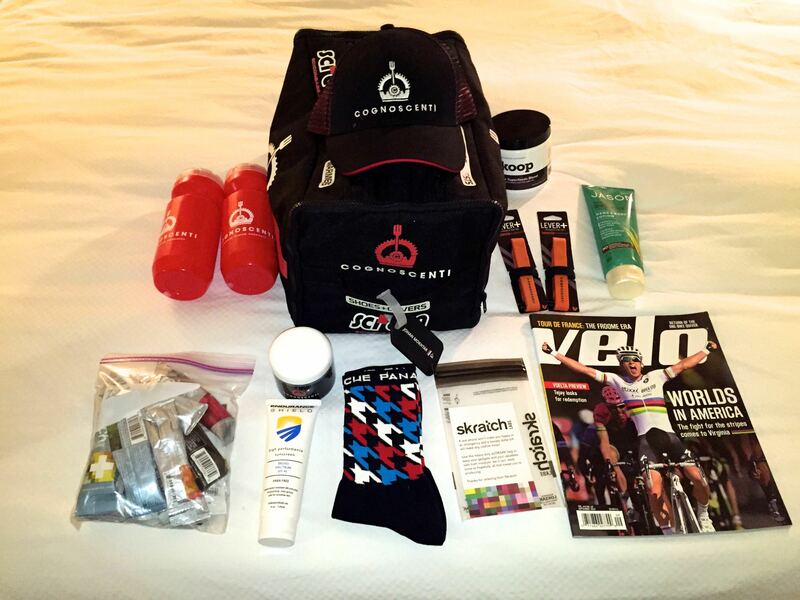 Cognoscenti provided everything I needed to ride, apart from a bicycle, shoes and helmet. 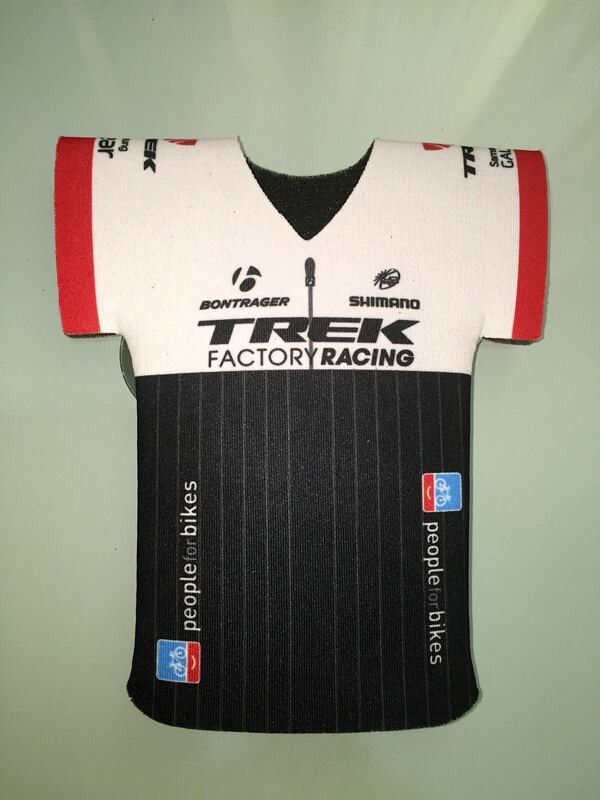 We all received a pair of Panache Cyclewear bibshorts and a jersey. Cognoscenti styled. 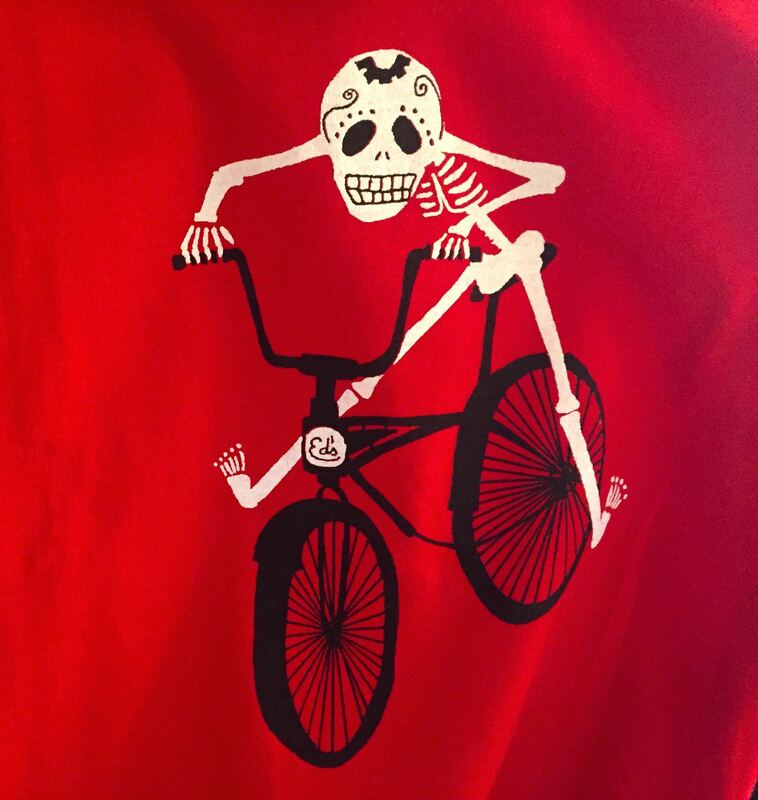 I had a few minutes to check in to my room and change into riding gear before heading out to the back patio of the hotel to meet the other participants and the Cognoscenti support crew. We took over the grassy area along the back wall nearest the road. That is where I was reunited with my bike, now sporting a name label on the top tube. Unsurprisingly, I had come from the furthest away. Richard and his wife had flown in from Philadelphia, Pennsylvania. Matt and his wife had driven from Eu Claire, Wisconsin. Brothers Scott and Steve had driven together from Lincoln and Omaha, Nebraska. And Mindy and Pam had come from just up the road in Aspen, Colorado. Our professional guest cyclist for the day was Sarah Lukas, who rides for the Amy D. Foundation team. 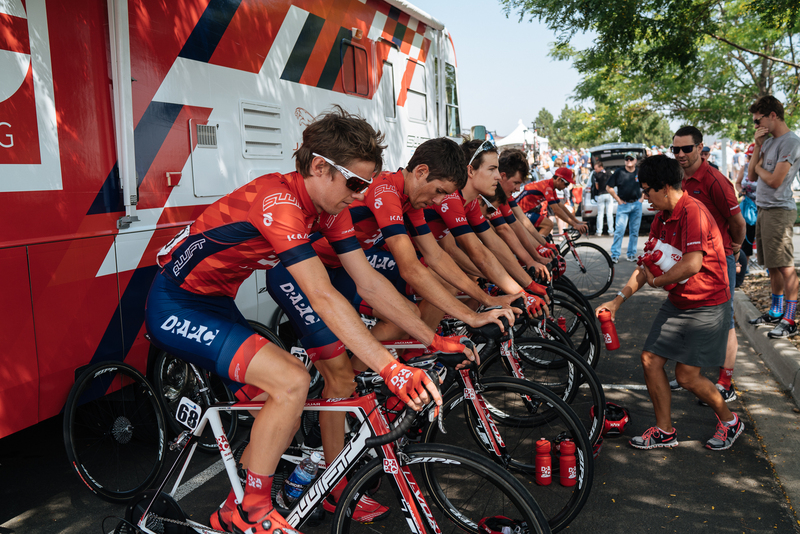 Having one or more current or ex-professional riders with us on every ride was both a highlight and a challenge. A highlight because to a person they were always willing to chat, and to provide a pull. A challenge because they made real the gulf in cycling ability between we mortals and the professional peloton. We were also joined each day by at least one editor from VeloNews. Names familiar to me from the VeloNews website appeared before me in the flesh: Chris Case (Managing Editor), Spencer Powlison (VeloNews.com Editor), Brad Kaminski ( Photography Editor), Dan Cavallari (Technology Editor), and Neal Rodgers (Editor at Large). 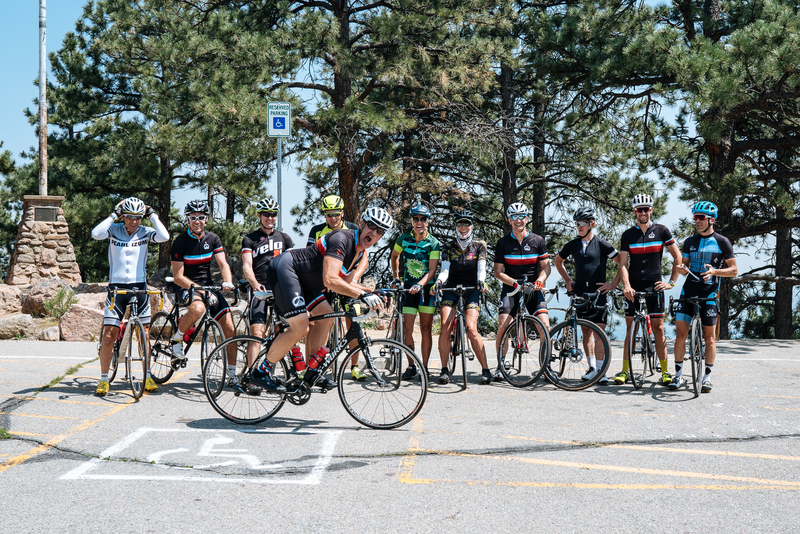 While the cast of professional riders and VeloNews editors changed daily, the Cognoscenti guides were a constant. The full support we received all week was thanks to Jon Robichaud, Russ Folger, Tristan Brown and Patrick Walker. These guys meant it when they said they would provide full support. Our bikes were washed and tuned after each ride. When we took our bikes off the rack to start a ride, bottles full of Skratch Labs hydration were already in the cages. A support van and at least one other vehicle were always nearby. Fresh chilled bottles were always available. As was an endless supply of those now famous Skratch Labs rice cakes and cookie bars. 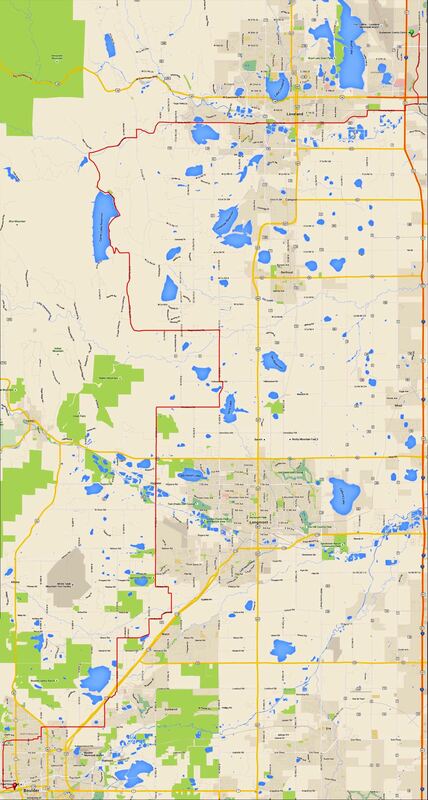 Fully prepped, we headed out on what was described as an “acclimatization spin.” A 57.5km / 36mi ride along the flats of Boulder County to St. Vrain Road and back. There was about 475m / 1,560ft of climbing. Which was a lot for me, but as I was to discover, was just a hint of what was to come. The ride was relatively fast for me. Which signalled trouble, because I could already see that my new friends were all stronger riders than I was. I was struggling with the lower air pressure and oxygen levels. 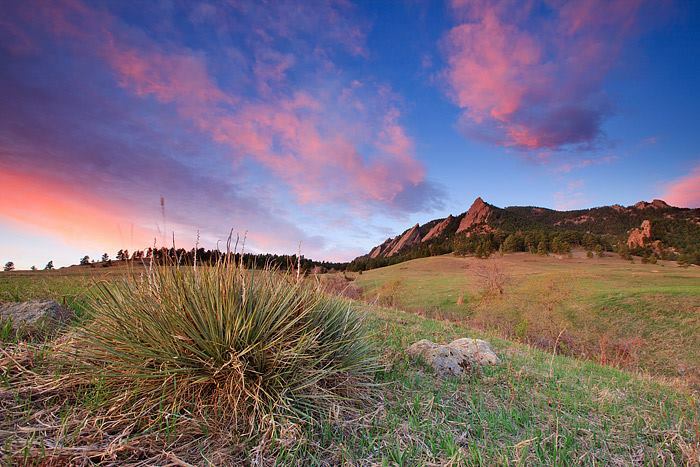 Boulder is 1,655m / 5,430ft above sea level. Which translates to 17% less oxygen by volume than is available at sea level. It was also hot at 32.8°C / 91.0°F. With a 24kph / 15mph westerly wind. Not the time to have only an apple and three coffees in the fuel tank. Despite my panting in the hot and dry air, I did enjoy the ride. Especially the gravel sections. Riding unpaved roads like those was new to me. It took a while to get comfortable riding on the loose surface. Oddly enough I felt more comfortable on the rutted sections, which felt like the cobbles of South Holland and Belgium. The last 6km / 3.5mi were along the Boulder Creek bike path. Where I was at last able to catch my breath. We were greeted back at the St. Julien by slices of iced and salted watermelon, and iced towels to drape over the backs of our necks. Our bikes were taken from us to be washed. We were given mesh bags for our used kit, which would be laundered overnight. See what I mean about first-class support? We had an hour or so to shower and freshen up before meeting in the St. Julien lobby for a drink with our pro rider and VeloNews guests. Then we walked the short distance to PMG for dinner. 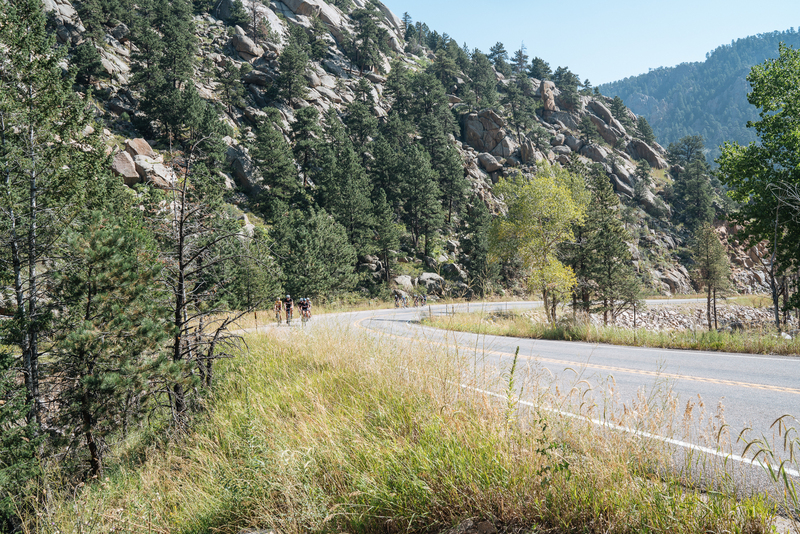 Cognoscenti believes that Boulder is one of the best intersections of cycling and food and wine in the world. We had just had some fabulous cycling, and PMG did not disappoint on the food front. Shared plates of fried eggplant, crostini with English peas and ricotta, Tuscan kale salad, Burrata with heirloom tomatoes and bagna cauda, tortellini with butter and sage, swordfish, and roast chicken came one after the other out of the kitchen. Luckily I still had room for the chocolate pot de crème and fresh peaches for dessert. 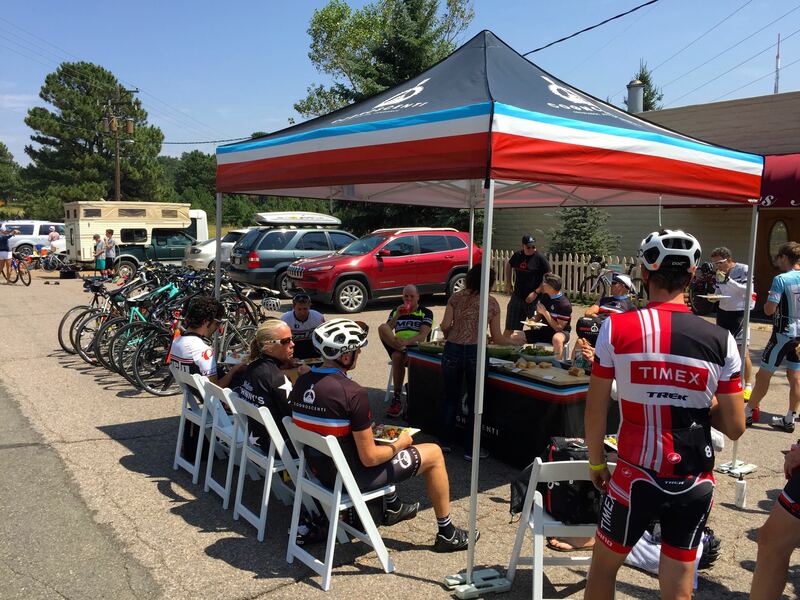 Posted in Cycling in Colorado and tagged Boulder, Boulder Creek, Cognoscenti, Gravel, PMG, Skratch Labs, St. Julien Hotel, VeloNews. Bookmark the permalink.